Best Western Irving Inn & Suites at DFW Airport est idéalement situé dans le centre de Irving. Venez découvrir et profiter de notre hôtel à côté des principaux sites touristiques. Réservation au meilleur prix et offres exclusives toute l'année. 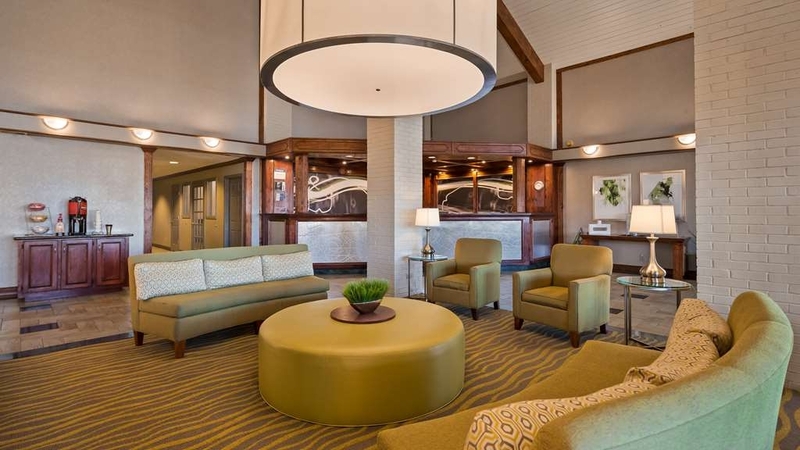 Le Best Western Irving Inn & Suites de l'aéroport de DFW honore l'hospitalité du Sud et garantit que chaque client sera traité comme s'il était de la famille. Les voyageurs qui ont besoin de prendre un vol tôt le matin et souhaitent également être proche de la métropole de Dallas-Fort Worth bénéficient des deux options en séjournant dans notre bel hôtel d'Irving. Nous sommes situés à proximité de nombreux restaurants, ce qui signifie que vous n’aurez pas à aller loin pour déguster un succulent repas. Avec le service de navette vers l’aéroport DFW gratuit, des chambres impeccables et spacieuses et le meilleur service en ville, séjourner à l'hôtel n'a jamais été aussi facile ou plus agréable. Les hôtels de l'aéroport de DFW sont connus pour leur excellente situation car nous savons à quel point il est important que vous arriviez à l'heure pour votre prochain vol. 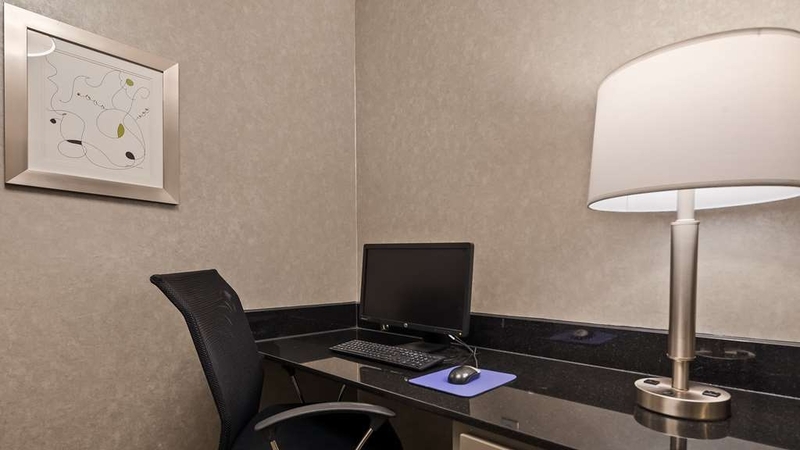 Dans ce Best Western à Irving, vous vous sentirez comme à la maison avec la literie de luxe et les équipements de qualité supérieure. Le Cowboys Stadium n'est qu'à 24 kilomètres en voiture, et assister à un match est une coutume lorsque l'on est de passage au Texas. Ou encore, visitez le parc Lone Star pour entrevoir les grands espaces. Cependant, si rechercher des sensations fortes est à l'ordre du jour, Six Flags® Over Texas ne déçoit jamais, et il s'agit d'un endroit superbe pour passer des vacances en famille. Notre hôtel d’Irving, au Texas, vous offre un accueil chaleureux. Nous sommes heureux que vous ayez choisi de séjourner chez nous et nous ferons le maximum pour rendre votre séjour aussi agréable que possible. Avec le centre American Airlines dans les environs, nous nous spécialisons également dans l'accueil des voyageurs d'affaires. Les employés du Baylor Hospital, de Las Colinas et du parc d'activités de CentrePort font partie de nos clients réguliers. Inept customer service. I was made to wait over 30 minutes to check in—at one o'clock in the morning after a late arrival at DFW. Other tortured travelers suffered painfully slow help at the desk. It became almost comedic—almost. I wouldn't touch this place again with a ten foot pole. With so much competition you'd be a fool not to look at other properties. Greetings and thank you for sharing your experience with us. I regret to read our staff services were less than satisfactory for you and I would like to offer an apology for any inconveniences this may have caused! "A great place to stay when in the Dallas area." Probably the best motel I've stayed in. Here for 2 nights while visiting Fort Worth. Room very clean and everything worked! Breakfast: more than I could eat! Shuttle service to and from DFW great, with very helpful and friendly drivers. Nothing to complain about, except I wish I had stayed longer! Hands down the best place to stay in Irving. Wonderful front desk associates (Jeffrey) and quick and easy check in. The rooms are larger than most other places I've stayed, and they are very clean!! The only thing I would change would be their breakfast menu items. Other than that, I ABSOLUTELY LOVE TO STAY HERE AND WOULD DEFINITELY RECOMMEND THIS HOTEL TO ANYONE LOOKING FOR LODGING IN IRVING!! This hotel offered a great experience. Nice interior hot breakfast and professional staff. Ariel and Jeff handled explained in detail promotions and incentives. Very accommodating experience. Breakfast was very good but would like to see more fresh fruit. Hello and thank you for your feedback about your stay at the Best Western Irving Inn & Suites. We value all guest feedback and I am glad to see that you felt our staff service levels and cleanliness exceeded your expectations. Your breakfast experience is a concern and I will be sure to review your comments with my breakfast attendants to see what we might be able to do with some fresh fruit in the future. I genuinely hope that we have the opportunity to serve you again if your travels bring you back to the Irving/Las Colinas area! This Hotel was just fine. Clean, comfortable, quiet, spacious rooms and great reception staff. Hotel shuttle was convenient too. There is no other services available here such as restaurant and bar but you can order in food through a gizmo in the lobby which is delivered straight to your room. I can't recall about alcohol but definitely food. Coffee is available in the lobby too. Definitely recommended. Hello and thank you for your review of the Best Western Irving Inn & Suites! I am very happy to see that our property met all of your needs; it's our number one goal to provide clean and friendly lodging accommodations to all of our guests and I am glad we were able to fulfill this for you. I will share your comments with the team, and we all look forward to welcoming you back and serving you in the future if your travels bring you back to the DFW area! Thank you for taking the time to review your stay with us. I am very pleased to hear that our staff made your stay pleasant. Great value, great location, super staff! It's not a five star resort but these guys make up for it with service! Rooms are in need of updating and upgrade bedding and linens. But I like the welcoming feeling I've gotten every time I've bern there. And they even remembered my name! Thank you for your review. I am very happy that the staff was welcoming and accommodating. However, I am sorry to hear that you were not satisfied with bedding and linens. This has been communicated to the concerned staff and we will look into it further and see what solution can be done. We look forward to welcoming you back to the hotel in the near future. We always stay when we are flying out of DFW. The price for the room and parking is exceptional. The staff and courtesy shuttle drivers are friendly and go out of their way to assist. We highly recommend this facility. Thank you for such a nice review! I'm highly thrilled to know you had such a great experience here and you felt at home away from home. I'll be sure to pass along your kind comments to those particular staff members and we look forward to welcoming you back! The housekeeper of my room went beyond all efforts to make my comfort greater. She should be recognized for her outstanding attention to details and the care that she provided me. She should be training others on how to provide customer service. Thank you for your review. I am glad to hear that overall your experience was positive. I am disappointed to hear that our front desk staff customer service didn't meet your expectations. This critical feedback will be used in training our staff. Thank you and look forward to seeing you soon. Thank you for taking the time to review your stay with us. We will let Bertha know that you were pleased with her service. We hope to welcome you back again soon. "Comfortable rooms and very friendly staff"
Thank you for your review. I am very happy that the staff was welcoming and accommodating and that you enjoyed our spacious rooms and our hospitality. However, I am sorry to hear that you were not satisfied with decor of our property. This has been communicated to the concerned staff. I truly hope you will come see us again when you come into town. 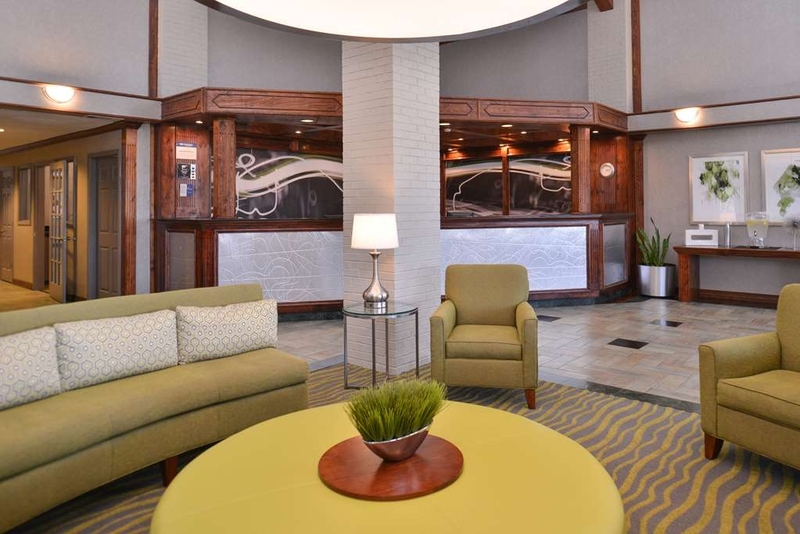 The Best Western Irving Inn &Suites at DFW is a great location to the medical centers we used. The staff is pleasant and friendly. The location is close to many restaurants. This hotel needs to pay a little more attention to the bathroom decor, (paint and ceiling. ), and furniture in the room. Overall, its clean and the hot breakfast was nice. We sincerely appreciate your time and effort to write us a very insightful review. Your satisfaction is very important to us. We appreciate that you have taken the time to let us know how you perceived our accommodations. We hope that you were satisfied with our hospitality and we look forward to seeing you again soon. Great place to stay! Wonderful customer service! Excellent breakfast! I love the omelets. The room was clean and comfortable. Easy to access from the freeway. Close to the hospital. The staff is very compassionate and just the BEST! For an older property it is very well kept. I stay here often and will continue to return. The GM is great and it shows that the good attitude passes down the lines to all of the employees. 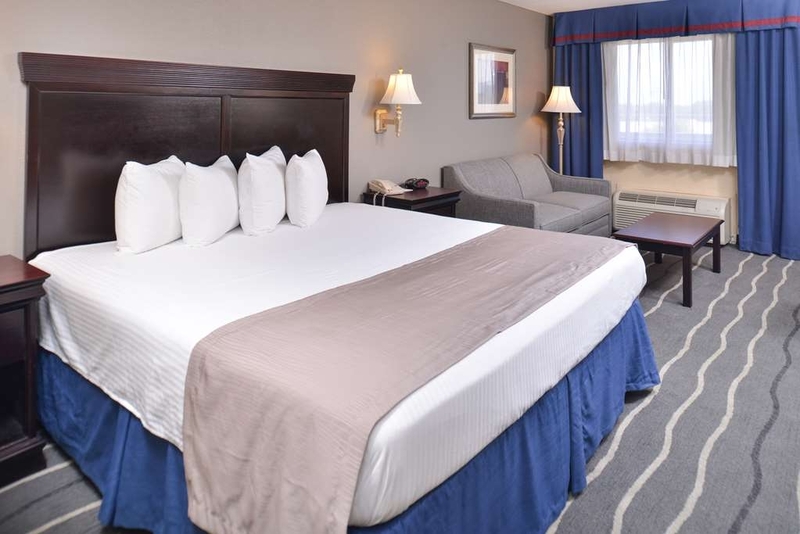 We are deeply elated that we have been your constant hotel of choice when you're in DFW. As always, don't hesitate to let us know if you're visiting again soon. Our staff are always ready to help you with anything. Thank you and take care. I would love to say that this was a great experience however I cant. This is what I will say. 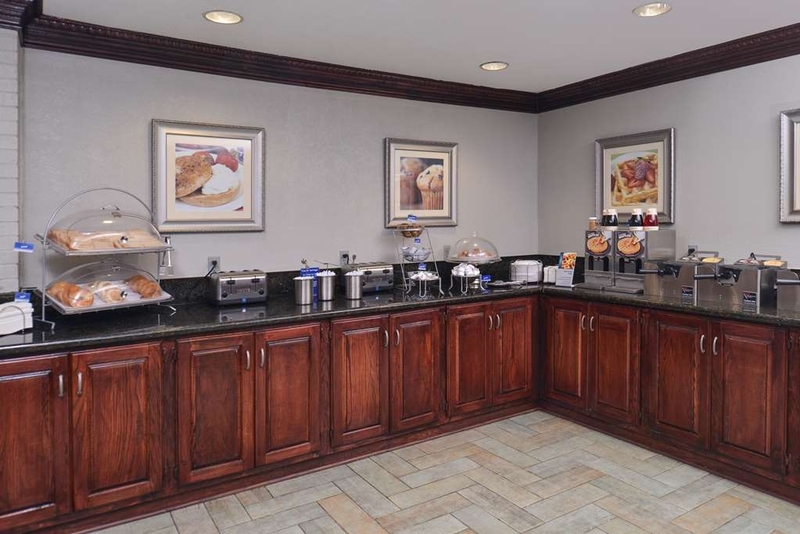 This hotel offers free breakfast however vegan or kosher eaters you will be limited in food selection .The rooms are clean and it has been nicely update. It near a mall and a couple of theater so you can find entertainment with in 5 miles. There is a Walmart next door so if you need a few thing easy pease. Now let get to the hotel itself. I was there over a week the wifi was out due to storms and there was intermitting tv signal. It would have been nice to know at check-in that wifi is down and that I might expect for the tv to be intermitting. Ok then I get in the room the and would like to be warm because it cold outside well guess what the heater don't work either. I was told (after I call back mind you) that maintenance had left for the day. Hmmm when does maintenance (for a nice size hotel) get off before 5 pm. And why did I have to wait 45 min and have to call the front desk back myself to find that out. The professionalize of the front desk personnel could be better and it might have made the different between a Basic review and a great review. I would stay again because it was a great location with a fair price but not because of service but hey people come and go so you never know. We'd booked a holiday in Italy leaving from Manchester airport in September. We decided to book a Meet &Greet service so our car was looked after. We booked through Ezybook online. On the day the car was collected from us as promised. On our return it took 4 phone calls and an hour for them to return it. Plus we were sent to three different levels in the car park. !!! When it was finally returned it was covered in mud and bird muck. There was no way it had been kept anywhere secure such as a car park. All we were offered after complaining was a 15 % discount off our next booking !!!!!! Totally unprofessional and dismissive. On talking to other people this seems to be a common problem . You think your car is being looked after in a safe place and it isn't. Beware!!!! Dear Guest I am sorry to hear of this unfortunate situation that occurred during your trip. However is this response intended for the Best Western Irving Inn & Suites in Irving, TX USA. If so please contact us at 972-790-2262 and I would like to discuss this with you. If not please contact tripadvisor and have them remove it from us. Good basic hotel near a Walmart and right by a good and inexpensive Chinese restaurant. When traveling, you want a clean, quiet hotel where working people stay - rather than the more popular noisy party hotels. "Bugs Every Morning and Night"
This was the worst room I've ever stayed in. I woke up to a bug on me 4/4 mornings I stayed there. I was sure to keep food out of my room. It didn't keep the bugs out. The air conditioning when turned on released a smell of something burnt. Thank you for taking the time to share your experience with us. Getting feedback from our guests is very important as it help us improve and get better where possible. I am very sorry that you were not totally satisfied by your visit and have taken dully note of the areas that you described were subpar. Obviously the state of the pest control are totally in our control and rest assured that we will address accordingly. I would be delighted to personally assist you with your bookings next time. Thank you again for your comments. Greetings and wow, thank you for such a nice review! I'm highly thrilled to know you had such a great experience here and you felt at home away from home. I'll be sure to pass along your kind comments to those particular staff members and we look forward to welcoming you back! "Quiet, Serene, Scenic and Accommodating!!!!" I just absolutely love this hotel. I love the layout and the setup of being able to walk through the middle corridor and have such a peaceful and gorgeous view and then the rooms are clean and nice, as well as spacious. I don't want to forget my favorite part either because the breakfast here definetely deserves to be recognized. It shows they put thought and effort into it because they have a little something for everyone no matter what kind of food you like. This was bad from the start. The hotel is located behind a gas station and restaurant. The lobby was nice. Upon entering the room, the smell was very musty. When the door was shut, I could see daylight around it. The carpet was very worn or dirty .... A used water bottle was left by the bathroom sink. The bed was not very comfortable. There was no outlet to plug in the phone by the bed. I had to try 3 outlets before I found one that would work. The ac did work well. When I went to shower, the tub had bugs in it. It was kinda creepy in the back and then all of these issues made me uncomfortable. I will never stay here again. This is the worst Best Western room I have ever stayed in to date. Thank you for bringing to our attention your experience and comments regarding your stay at our hotel. Our sincerest apologies for the inconvenience caused. We are a hotel that places utmost importance on the voice of our guests, as we are committed to delivering the highest level of service. You have our word that we will be looking into the gap in the door and pest control issues you experienced in your room. I also have an electrician scheduled to come look into why there was no power going to the outlets so you could charge your phone.We hope that we may be given a chance to change your perception of our hotel and give you the highest level of service in the future. Very good motel. I try to stay there when I fly into DFW. Everything is convenient for food, golf and shopping. Access for freeways to get where I am going is very convenient. I have always had good luck stay at Best Western motels. "Spent night before leaving for Nashville"
"In the middle Dallas-Fort Worth"
"Missed our flight and had to spend the night near DFW"
We chose this hotel because they had a free airport shuttle, breakfast and a pool. We are so thankful for this unplanned day off with SUCH KIND STAFF. The ONLY reason I give it a 4 is it seemed a bit out-dated on the outside, however, it was clean and the lobby was updated. Thanks to the Walmart next door, I purchased a swimsuit - since my suitcase was lost at the airport, and we had an enjoyable morning swimming and spent the afternoon working in the lobby with their wifi. "Looks nice on the outside but inside is different"
The outside of this property looks nice and the lobby is even nicer. I stayed at this hotel the other night, upon arrival I was impressed by the look of the outside and even more impressed by the lobby, it was really nice and clean looking. Checking in was easy and the girl at the front desk was really nice. I went to my room which I had high expectations of due to how the rest of the property was, I however I found that it wasn't kept up great. Upon entering the room I thought it was nice but as I started looking more at it I saw a few things that were not good. The carpet as well as the sheets had stains on them, the bathroom wasn't cleaned too great, the ceiling had a big crack, and the bed was as hard as a rock. I've stayed at worse hotels before but I was not impressed by the way that the room was cleaned. The past few times I have stayed at a best western I have had issues with how they clean their bathrooms. I don't think that I would stay at this hotel again. "Economical spot, great for a business overnighter"
Booked this sight unseen. Best Westerns are a brand I am loyal to because of their rewards program. this hotel, while dated provided me a great place to rest and relax on a quick business overnighter. Room was HUGE. Bed was comfortable and toiletries were nice. Just what I needed to get back on the road and conquer another day. Thank you for sharing this experience. It is through feedback like yours that we are able to quickly address housekeeping issues that would allow such a situation to occur. We greatly appreciate the time you've taken to rate our hotel and we look forward to your next visit. The staff and the General Manger Ron were all so very kind and nice to my husband and me. Our room was kept clean and the breakfast had a variety of different breakfast food. Would recommend this hotel . Hello and thank you for your review of the Best Western Irving Inn & Suites. It's our number one goal to make every guest feel that they had a productive and pleasurable stay, and I am glad to hear you found our facilities useful. I will share your comments with the team, and we look forward to serving you again in the future! Nice hotel after you get past the road construction, the neighbors location not real nice, and a solid brick wall (back side of strip mall) to look at on the other side. But your the to rest and we did get that in no problem. We have been very pleased with our stay. The staff has been very friendly & accommodating. The rooms are clean & spacious. We had a minor clog in our tub & they took great care of us. We would book with this hotel again. "Airport Convenience with a Shuttle"
Usually I absolutely love BW properties and although this property did not disappoint it was not the experience I've come to expect. That really should not be taken a s a negative because I found the stay just as pleasant and the staff of just as high a caliber as at my more favored BW properties. I will be staying here again whether on business or pleasure. Love the convenience and the shuttle. "Convenient to area airports, restaurants and shopping"
My flight was cancelled and I was rebooked for a flight the following evening. I called Best Western and got the name of the hotel closest to the airport. Took a taxi there and had a lovely room. Check in was quick and easy. Breakfast was good. Took the shuttle back to the airport. No concerns or problems. "Facility is average, but a horrible experience trying to book from the airport"
The facility was significantly understaffed. The lone desk clerk worked really hard but it was impossible for her to register arriving customers and also answer the phones. Apparently when a desk agent cannot answer a call, the call gets bumped to hotels.com or expedia or a similar company. The hotels.com reservation agent began by asking if Dallas is located in the state of Texas. Things got worse from there. The agent would only book rooms for our group if we gave her not only our credit card information but also our home address, phone number and e-mail address ... no exceptions. We had arrived late after a canceled flight and were tired so we complied. Perhaps there was some event going on that made that Thursday night unusually busy but the clerk the next morning did not know of anything specific though she explained that there is a lot of hotel competition near the airport and other hotels have the same process of allowing some of their calls to roll over to Expedia or Hotels.com If you can make a reservation directly with the local hotel and also confirm that an airport shuttle is available, then this hotel would rank as a bit above average and a good value for the price. The is an oriental restaurant next door, a BugerKing, just behind it and also across the street from the BurgerKing is a very small Cajun style fried catfish and shrimp and chicken and fries type independent cafe. As Northerners we enjoyed trying that and meeting the lady proprietor. There is a convenience store nearby. P.s. The shuttle drivers were hard working. They did a good job of unloading bags and then quickly taking off to give other customers fast service. Thank your for your candid feedback. I am sorry to hear that you weren't satisfied with the process of making your reservation. I do not believe if a phone call goes unanswered that it goes to a 3rd party call center. I will need to look further into the situation. As far as the hotel being very busy there is alot of events happening around our property so we are always staffed well enough for the demand. If there are flights cancelled later in the evening we can not plan for that. I apologize again for your inconvenience. we requested to have a nice roomy bath tub to soak ourselves from a long day but were put in a disabled room. Bed feels old and hard, pillows are too small for a king size bed, besides being in the first floor, i don't find the roo disable friendly. This was our second year to stay at the BW in Irving using the Park,Stay and Fly. It is so easy and the staff has been friendly and accommodating. The shuttle service takes away all of the stress of driving to your flight . Thank you for staying with us again. We appreciate your loyalty and your continued trust in our hotel and our staff. Rest assured that we will do everything it takes to make us deserving of your loyalty. "Very depressing and in dire need of refurbishment"
I stayed here as I had a overlay before connecting flights. The shuttle bus was good, and then on arriving at the hotel the lobby looked decent. This is where things changed. The room was dark and creepy and need of looking after. The bathroom had the sink inside the actual hotel room which was odd. The breakfast was absolutely dire. Some hard scrambled eggs and "sausages" or waffles you had to make by yourself. I'm glad I didn't have to spend more than a night here. On the plus side, it was close to the airport and there was a fairly good place to eat within walking distance (Aspen Creek Grill). We appreciate you taking the time to provide us with such candid feedback of your stay. I am very sorry to hear that your stay did not meet expectations. Excellent place. Rooms receiving new furniture. Hot tub ready any time. Staff is very attentive and will make your stay the best. Snacks available for purchase if you have a late arrival. Leave your car for a small fee and take the shuttle to the airport. "Quick short stay by the airport"
Staff was good, hotel were short staff had to wait 20 mins to get checked in after my long flight but they took care of me very well. Need extra person st the desk. Great shuttle driver. Room was good and enjoyed the stay. Thank you for your review. I am glad to hear that overall your experience was positive. I am disappointed to hear that our check in service staff didn't meet your expectations. This critical feedback will be used in training our staff. Thank you and look forward to seeing you soon. 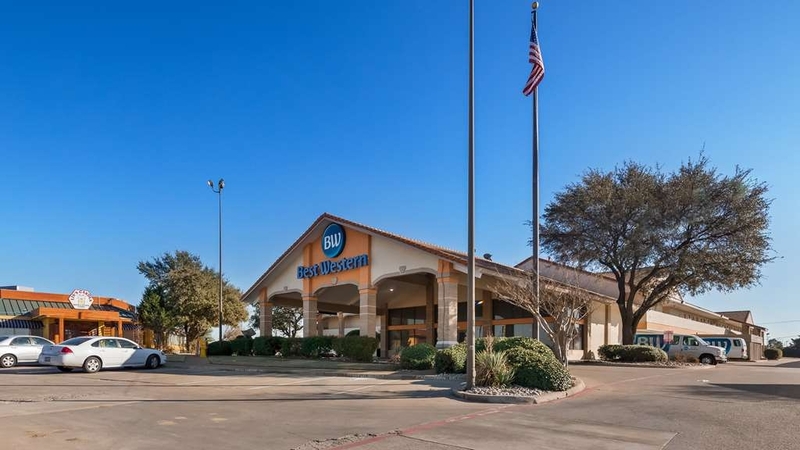 "Good rooms and superb shuttle servive"
My wife and I initially chose this Best Western because of its proximity to DFW airport from where we were to fly 16 hrs to Sydney on the excellent Qantas A380 service. Little did we know what an excellent choice we had made...most particularly because of their shuttle bus service. Within 10 minutes of our call from the airport, we were efficiently colleccted from the airport and delivered to the hotel. Next day when we asked could they drop us to the nearby railway to take the train downtown...'sure thing' but they also quickly checked the train timetable and advised that we were just missing that train and organised us a taxi - brilliant. The following day we were delighted to be taken to the nearby mall on the otherside of a very messy Interstate construction zone ... and retrieved with no problem at all. We'll be back ! Greetings and thank you for sharing your experience with us. I'm so happy to read our staff services were more than satisfactory for you. I am also glad that you found everything to your liking! Safe travels and your business and loyalty to Best Western is sincerely appreciated! "Room was terrible and the smell of cigarette smoke was out of control got no sleep that night." Room smelled horrible. The staff was helpful the location was terrible DFW area is how do you say garbage. I will not be staying at another Worst Western ever again. The bed was uncomfortable and the covers were terrible. Sorry for the inconvenience you experienced during your stay. "This place is not a great place at all"
I laid in bed and wondered what I'm I doing here I own my own Buisness and I can afford any hotel I wanted to go but I was to tired plus I only need it the hotel for a few hrs. Just to sleep in from a 4 hr drive. This place is old, smelly and creepy. I regret to hear that you weren't thoroughly impressed with our accommodations and services. I wish you would have shared your feelings with the staff so we might have been able to make you fell more comfortable. Thank you so much for sharing this experience. "Good People Well Maintained Facilities "
Had our lay over here at the B.W. Irving Texas. The staff was friendly and very helpful, facilities are well maintained and the bed was one of the nicest had an awesome sleep and we were well rested, for the travels ahead. Hotel is close to a Mall of America with an AMC if you want to catch a movie and many restaurants. The mattress was very hard, and it needed some upgrades on the door latch. Great price for what we received. They shuttle you to and from airport. Great price, but location was hard to get to because of construction. Hello and thank you for your feedback about your stay at the Best Western Irving Inn & Suites. We value all guest feedback and I am glad to see that you felt our staff service levels and cleanliness exceeded your expectations. I will be sure to review your comments with my ownership about your sleep experience to ensure that we can give all our guest a comfortable sleep experience. I genuinely hope that we have the opportunity to serve you again if your travels bring you back to the Irving/Las Colinas area! "Unassuming with some surprising charms"
We stayed here to be close to DFW for a much-too-early departure the next day. One doesn't expect luxury from a Best Western, but the facility was clean and modern and this place is a but nicer than your average "motel". Notably, there is a very nice courtyard with well-manicured landscaping and a nice-looking pool and spa. Unfortunately, we had no time to use it, but if we stay again, we'll plan on it. The bed was very comfortable and the room (and courtyard) surprisingly quiet for a place right on a highway and so near the airport. Though the room was plain, it was clean, secure, and in good repair with no notable faults. We had to leave too early to take advantage of the free breakfast. :( We would stay here again. Hello and thank you for your feedback about your stay at the Best Western Irving Inn & Suites. We value all guest feedback and I am glad to see that you felt our staff service levels and cleanliness exceeded your expectations. I genuinely hope that we have the opportunity to serve you again if your travels bring you back to the Irving/Las Colinas area! Helpful, Friendly,Great Stay. Highly Recommend.The Management and staff go above and beyond to make your stat enjoyable.If you are in need of a place to stay in the Irving , DFW area this place is a great value. I don't think you will find bettter. We enjoyed the stay and the hotel room was good. There was plenty of room. I like that the sink and mirror are not in the bath as this helps for easier dressing. There was construction on the street but the hotel can still be gotten to easily. Even though it is close to the airport, the planes didn't bother us and they don't fly all night long. "Pretty good especially the breakfast." Pretty good especially the breakfast. It would be better to reserve the second floor because the floor looks very thin. I could obviously feel the vabration of the floor when my wife was walking around. Hello and thank you for your feedback about your stay at the Best Western Irving Inn & Suites. We value all guest feedback and I am glad to see that you felt our staff service levels and cleanliness exceeded your expectations. Your breakfast experience is a plus I am glad tht you thought it was very good. I genuinely hope that we have the opportunity to serve you again if your travels bring you back to the Irving/Las Colinas area! Ok hotel for the price. Breakfast was simple & ok. Lots of major road construction surrounding this hotel. We chose this hotel because it was somewhat close to AT&T Stadium & cheaper than the hotels real close. Thank you for sharing your experience with us. I do apologize for any inconveniences that you experienced due to the highway construction. We look forward to your next visit! It is so rewarding to hear that we were able to provide a clean and comfortable experience. We hope you'll return to enjoy accommodations and services. "Visits to and from Spain"
We have used this property when we have flown in and out of the DFW Airport going to Spain to visit our children. 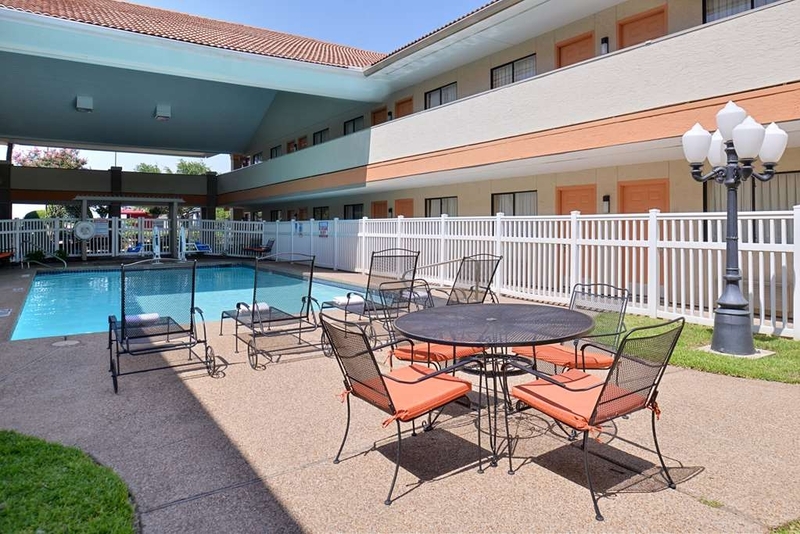 We have also used it when our children have come to visit us as a nice place to stay as we live 5 hours from the DFW airport and we have small grandchildren. We are able to stay here affordably and let the grandchildren transition to the time change after spending 10 hours on the plane before riding 5 hours to our home. Hello and thank you for your review of the Best Western Irving Inn & Suites. It's our number one goal to make every guest feel that they had a productive and pleasurable stay, and I am glad to hear you continue to find our facilities useful. I will share your comments with the team, and we look forward to serving you again in the future! "The toilet collapsed on me and neither management nor customer service seemed to care"
I stayed in room 142 while attending a class reunion. There was no plug for the bathtub. I was disappointed when no one followed up on my request for a plug for the tub, but a rolled up facecloth as an adequate makeshift. No big deal. But the next day the toilet came loose from the floor, (no, I weigh 215lbs) threw me off onto the floor and splashed me with water. It might have thrown me onto the side of the tub or even onto the tub then back into the water in the tub. This is not acceptable in any hotel, but the manager, "Ronny" , seems to have accepted it and offered a 25% discount on the room. The negligence with the installation of the toilet could have had a more serious result that simply requiring a new bath.Neither the management nor customer service has bothered to contact me after I filed a complaint. I have stayed in some nice BW hotels and keep their app on my cell. I don't understand what is wrong with this hotel. I asked them to cancel my charge and send the money to my school scholarship fund. Thank you for taking the time to provide feedback on your stay. It is unfortunate the room conditions prevented you from fully enjoying your time at the hotel. We are confident the necessary adjustments will be made, in order to achieve complete guest satisfaction. Thank you again for your comments, we look forward to serving you in the future. Hello and thank you for your review of the Best Western Irving Inn & Suites. It's our number one goal to make every guest feel that they had a productive and pleasurable stay, and I am glad to hear you found our facilities useful. I will share your comments with the team, and we look forward to serving you again in the future so you can fully enjoy our hotel. "Property condition was bad and some people staying there were deplorable"
Staff was friendly and helpful, especially helping us cancel our last night's stay which was originally planned. Other than that DO NOT STAY HERE. Spend a little extra and stay somewhere nicer. The property needs a major upgrade. The room smelled bad. Could not sleep on Sat night due to loud people drinking and smoking right outside our door. I had to go out and move them along at 4:00 am !!! Thank you for bringing to our attention your experience and comments regarding your stay at our hotel. Our sincerest apologies for the inconvenience caused. We are a hotel that places utmost importance on the voice of our guests, as we are committed to delivering the highest level of service. The location is great, close to restaurants and shopping (walmart, best buy, olive garden...to name a few). Breakfast was the standard, one recommendation is to have tea as well in the 24hr station (there is coffee and water, but no tea). Some staff were very accommodating, the other were fairly new as i heard them talking they were new (they also seemed disgruntled and expressed that loudly within earshot). I had a package delivered to the hotel and it was placed in my room....very nice. Room was a bit musty but very spacious. Shuttle service is a hit or miss. Pickup from the airport was about 20 mins, they offer shuttle as well within 2 miles of the hotel. The shuttle service needs to be streamlined more, i called for a pickup at the train station and the shuttle never arrived (I waited 45mins at 10pm in a desserted track) i ended up seeing a bus and took it close to the hotel and walked the rest of the way. The next day i called for pickup service and waited an hour. Fred, Bruce, Steve and another gentleman that drove the early shift on Saturday morning were SUPER (especially Fred and Steve); on the morning of my departure Steve confirmed if i was going to miami and my flight # (i had given the night before), he said we were going to terminal C, i said no its A, he pulled it up on his phone to confirm (as well as once more before we got to the airport)- this was outstanding. What would also help is possibly to have train/bus schedules available for guests. Overall a pleasing stay and would stay again. Thank you for sharing this experience. It is through feedback like yours that we are able to quickly address shuttle issues that would allow such a situations to occur. I will express to my staff to get the guest tea out of the stock room with out hesitation. We greatly appreciate the time you've taken to rate our hotel and we look forward to your next visit. nice staff, did what they could. but when my a/c is out, it makes sleeping very difficult. they couldn't even come up with a fan to loan me. also there is no elevator, so even though only 2 floors it's a bit difficult to get your bag up the stairs. Greetings and thank you for sharing your experience with us. I regret to read our staff services were less than satisfactory for you and I would like to offer an apology for any inconveniences this may have caused! I'm more than confident our team can make a better impression on you the next time and we hope to have the chance of doing that. Safe travels and your business and loyalty to Best Western is sincerely appreciated! stopped here for one night. The bed was horrible, and the sheets and comforter were stained. it did not feel clean at all. Smelled like someone had been smoking in the room. Cigarette burns on the sink. Looked like someone wiped buggers all over the wall by the bed. Spend a little more and bypass this one! Thank you for sharing this experience. It is through feedback like yours that we are able to quickly address housekeeping issues that would allow such a situation to occur. We greatly appreciate the time you've taken to rate our hotel. Check in was good, but at check out I learned some very important information about booking with Best Western online. Make sure that you call the hotel directly to get the best rate. This hotel only have one computer. Thank you for sharing this experience. It is through feedback like yours that we are able to quickly address the issues that would allow such a situations to occur. We greatly appreciate the time you've taken to rate our hotel and we look forward to your next visit. 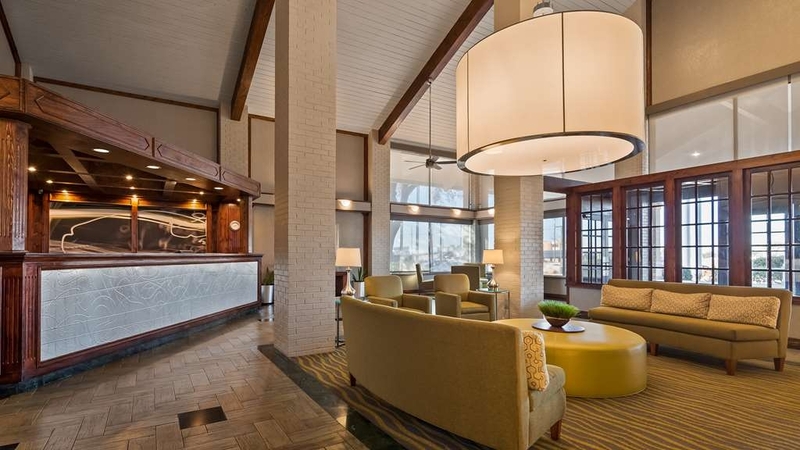 "Great stay at best Weston Irving." Greetings and wow, thank you for such a nice review! I'm highly thrilled to know you had such a great experience here and you felt at home away from home. I'll be sure to pass along your kind comments to the staff members and we look forward to welcoming you back! i thought the location of the hotel was perfect for easy access to the airport. the shuttle bus made the process seamless. Breakfast could have been better by serving a few healthy breakfast cereals, More variation of hot food would have been better also. Hello and thank you for your feedback about your stay at the Best Western Irving Inn & Suites. We value all guest feedback and I am glad to see that you felt our staff service levels and cleanliness exceeded your expectations. Your breakfast experience is a concern and we will reevaluate what is offered for our health conscience quest. I genuinely hope that we have the opportunity to serve you again if your travels bring you back to the Irving/Las Colinas area! We were in town for a quick visit. The check in was quick and easy and the continental breakfast was good. For the value of the room it was ok but had a very small bathroom. We had no issues during our stay. The rooms are not what they look like online. They are so uncomfortable and not so pleasant sleeping there. There was hairballs all on the floor, the bathroom towles were yellow and nasty, & not a great location. hotel is very well maintained and clean. The staff was very helpful. The pool was refreshing and the breakfast was great. Shopping is within walking distance. Next time I connect at DFW I will stay at this hotel. Hotel is a notch or two above the typical economy hotel. Not terribly far from the airport and the shuttle was pretty quick to collect Us from DFW. The complimentary breakfast was good and an added bonus. Downtown Dallas is about 20 minutes away, barring any awful traffic. Several places to eat nearby. A dated shopping mall is within driving distance. The lady at check in was a little less-than-friendly and seemed clueless (we checked in a day late and called a day ahead to advise, but she acted confused and totally baffled about this) and the mattress in the room has certainly seen better days. Overall, would stay again. Relatively clean, affordable hotel. Walmart and a movie theatre immediately next door. Hello and thank you for your feedback about your stay at the Best Western Irving Inn & Suites. We value all guest feedback and I am glad to see that you felt our staff service levels and cleanliness exceeded your expectations. Your bed experience is a concern and I will be sure to review your comments with my ownership. I genuinely hope that we have the opportunity to serve you again if your travels bring you back to the Irving/Las Colinas area! 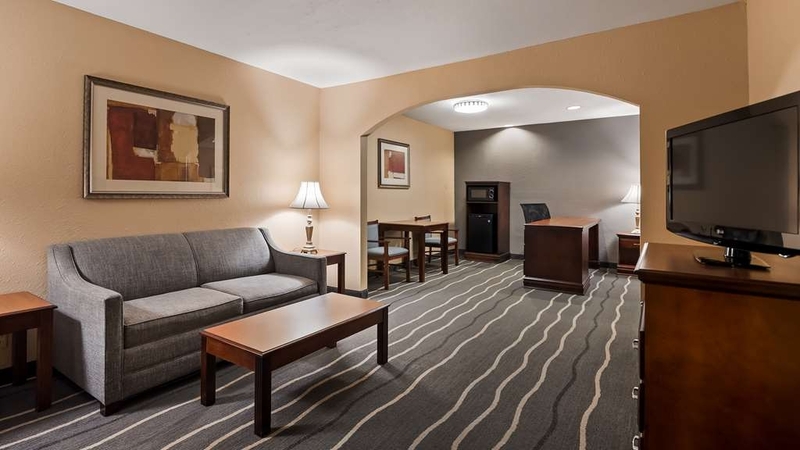 Best Western Irving Inn & Suites at DFW Airport is an excellent hotel with an outstanding staff. The value and convenience can not be beat. Traveling overseas frequently for work I always use this hotel. We stayed here as a budget option for Dallas, but you have to be conscious you get what you pay for. The hotel is old and the premises are run down, not particularly clean. The location is not a pretty area: next to a gas station, kind of a sketchy area; however, the Irving mall is nearby, which can cover some shopping, and they got a shuttle which can take you there. However, the hotel is next to a major freeway. Internet is good, and they have a decent business center. Breakfast is provided, average. The lobby is not bad, and the rooms are large, and include fridge and microwave. The staff was friendly and courteous. Since you are close to the airport, you can continuously hear airplanes taking off. This hotel covers all the basic needs, and it may be OK if you need just to spend the night, but for longer stays, because it is old and kind of run down, I would advise you can find a better place (With a newer, cleaner look) paying the same price range. Thank you for sharing this experience. It is through feedback like yours that we are able to quickly address issues that would allow such a situation to occur. We greatly appreciate the time you've taken to rate our hotel and we look forward to your next visit. Greetings and thank you for sharing your experience with us. I regret to read our staff services were less than satisfactory for you and I would like to offer an apology for any inconveniences this may have caused! This is a matter we take seriously. I'm more than confident our team can make a better impression on you the next time and we hope to have the chance of doing that. Safe travels and your business and loyalty to Best Western is sincerely appreciated! This hotel is located close to DFW and they do provide a shuttle bus to take you and pick you up. They use to not charge you for leaving your car but have started charging $5.00 per day to leave your car. Still not bad if you do not want to leave your car at DFW and figure out how to get around. Hello and thank you for your review of the Best Western Irving Inn & Suites! I am very happy to see that our property met all of your needs; it's our number one goal to provide clean and friendly lodging accommodations to all of our guests and I am glad we were able to fulfill this for you. I am glad you were able to use our park & fly service. It relieves alot of strees of getting to the airport and paying a high price. Iwill share your comments with the team, and we all look forward to welcoming you back and serving you in the future if your travels bring you back to the DFW area! We had a very positive experience during our stay at this BW property. 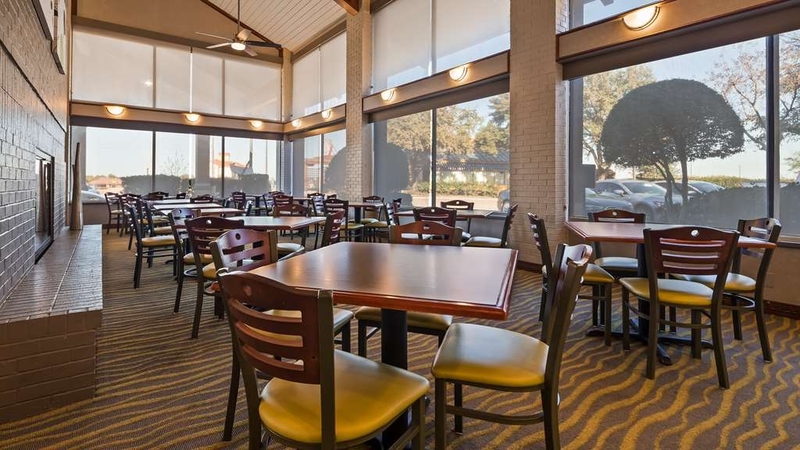 Here are some pros and cons... PROS: (1) The remodeled lobby and dining area are beautiful and spacious (2) We had a very positive experience (several interactions) with the front desk staff (3) The location is fantastic, near DFW airport and within walking distance of a movie theater, a Walmart, several restaurants, etc. (4) The rooms are nice and spacious, and the decor is updated (5) The hotel airport shuttle is complimentary and dedicated solely to this BW property (i.e. the shuttle doesn't pick up passengers at multiple hotels) (6) The rate(s) are very good, especially when compared to some similarly-rated properties CONS: (1) Other portions of the property haven't been updated yet and, as such, seem out of place with those parts that have (2) The king bed wasn't that comfortable and you could feel the other's movement alot (3) If your room is on the side facing the pool, it can be a bit noisy Overall, we really enjoyed our stay and would gladly come back. Rooms are quite ever with DFW close. Staff makes every effort to make you comfortable and feel at home. Breakfast is a real treat many options offered to satisfy any appetite. Easy access. Beds are very comfortable. Hello and thank you for your feedback about your stay at the Best Western Irving Inn & Suites. We value all guest feedback and I am glad to see that you felt our staff service levels and cleanliness exceeded your expectations. I am glad you enjoyed our breakfast options and hope they were tasty. I genuinely hope that we have the opportunity to serve you again if your travels bring you back to the Irving/Las Colinas area! Outside of having doors facing the parking lot, it felt a little more like a motel.... but regardless we got the suite seperate living from bedroom with a closed door. Everything was great about this place from the room to the service to the FREE airport shuttle. My only complaint about this place is the sub par breakfast, instead of alot of really poor quality food, make a lil bit of good quality food, coffee was terrible. Also they do not provide drinking water for free even at our room level of $150+, and they offer some 2 in 1 shampoo conditioner. I could care less about some of the things but come on a 10 cent bottle of water couldnt be splurged on for each room. Cut out the crappy eggs if its diggin in that hard on your budget. Pool and Hotub was a nice touch. Hello and thank you for your feedback about your stay at the Best Western Irving Inn & Suites. We value all guest feedback and I am glad to see that you felt our staff service levels and cleanliness exceeded your expectations. Your breakfast experience is a concern. We use Hampton quality eggs and have received several compliments on them. It appears you booked your stay at my our property thru a 3rd party if you book with the property or thru BW.com and are a BW rewards member we offer a snack and a bottle of water to all rewards members. I also show the rate you paid thru that 3rd party was significately lower than you had said. If it was the amount you described please send me a copy of your receipt to my email at [email protected] I genuinely hope that we have the opportunity to serve you again if your travels bring you back to the Irving/Las Colinas area! The room was clean and comfortable. We had free continental breakfast every morning, the internet was good and the swimming pool was clean. We had a comfortable stay. We also took advantage of the laundry. There are several eating places in walking range and a large Wal-mart next door, just be advised there is alot of road work in the area. Hello and thank you for your feedback about your stay at the Best Western Irving Inn & Suites. We value all guest feedback and I am glad to see that you felt our staff service levels and cleanliness exceeded your expectations. I am glad you were able to enjoy the amenities we have at our property. I genuinely hope that we have the opportunity to serve you again if your travels bring you back to the Irving/Las Colinas area! Stayed here for 1 night prior to a flight out of DFW. Check in took awhile and had to contact best western rewards to get them to recognize the travel voucher I was trying to use. Room was clean and super cold. The unfortunate thing is that it reeked of musty cigarettes. The room was also very dated. Might stay here again for a quick layover but would probably stay somewhere else. Nice room clean, and up to date, great staff! The breakfast was good. They had a fitness center, but I never used it. Internet access was good. The staff was friendly and helpful. I would definitely recommend! Greetings and wow, thank you for such a nice review! I'm highly thrilled to know you had such a great experience here and you felt at home away from home. I'll be sure to pass along your kind comments to my team and we look forward to welcoming you back! "Not staying at Best Western ever again." "Hotel is nice. Area is not"
This is the second time I have stayed here. The rooms are clean, beds are comfortable, staff is great. They have a pool and the room internet works well. The price is a good value. The only drawback, and this is beyond the hotels control, is the area. Both times I have stayed here, there were prostitutes and pimps at the 7-11 next door. The hotel is not in the greatest location. Hello and thank you for your review of the Best Western Irving Inn & Suites! I am very happy to see that our property met all of your needs; it's our number one goal to provide clean and friendly lodging accommodations to all of our guests and I am glad we were able to fulfill this for you. I will share your comments and concerns with the property managers next door, and we all look forward to welcoming you back and serving you in the future if your travels bring you back to the DFW area! Web said airport pickup so we booked it. Arrived at midnight and called the hotel 3 times and it rang and rang and no one answered until finally at the end of our third attempt. Now we had already wasted 30 min. Then she tells us they don't pick up after midnight. We now have to call UBER (twice and both times bad service, coming and then not coming) finally LYFT. didn't get to the hotel until almost 1:30 very tired and aggrevated. I found a same night deal for 69.00. I really wasn't expecting much for that price, but decided it was cheap enough that I really didn't mind a few issues. From the moment I walked inside, I was pleasantly surprised! It was very nice and very clean. The staff was super friendly. Free parking and breakfast made it even better. Our room was so comfortable and again, clean. The pool was very nice and the hot tub was perfect for those aching muscles. I would gladly come back and recommend for anyone! Great job, Best Western Plus of Irving, TX! Hello and thank you for your review of the Best Western Irving Inn & Suites! I am very happy to see that our property met all of your needs; it's our number one goal to provide clean and friendly lodging accommodations to all of our guests and I am glad we were able to fulfill this for you. I am glad you enjoyed the pool and hot tub during your stay. I will share your comments with my team, and we all look forward to welcoming you back and serving you in the future if your travels bring you back to the DFW area! Need one night stay close to the airport. It's exactly what I was looking for. Very close to the airport, easy to find. Reasonable price, good breakfast, check in was very fast.The staff are very helpful. Overall very satisfied. Will go back again. There is a shuttle pickup but doesn't work after midnight. It's best to check the timing. Shower seems low in pressure on 2nd flooor, may be normal for old building. Available Car park for those who drives. Thank you for bringing to our attention your experience and comments regarding your stay at our hotel. Our sincerest apologies for the inconvenience caused. We are a hotel that places utmost importance on the voice of our guests, as we are committed to delivering the highest level of service. You have our word that we will be reexamining our shuttle schedule. We hope that we may be given a chance to change your perception of our hotel and give you the highest level of service in the future. "run down and does not meet ADA requirements"
Please accept our sincerest apologies for the maintenance issues that you encountered during your stay in our hotel. Rest assured we are checking in on the issue and we will get it resolved. "Good stay at a DFW airport hotel"
I would highly recommend this hotel. We were offered an upgraded suite upon arrival and given a welcome gift. Initially, we declined the room upgrade due to the fact that the hotel doesn't have an elevator. However, a previous guest in our 1st floor room was obviously a smoker and made it impossible for us to stay in that room for the evening. We requested the desk clerks initial offer of the 2nd floor suite. It was spacious and comfortable. Hot/cold Breakfast was also quite good. They have a very nice outdoor pool located in their courtyard. Unfortunately, the bill was incorrect upon our departure and it took a while to remedy it. Overall, you cannot find a better hotel for the price, location and their excellent shuttle service to and from the airport then this establishment. Fred the evening shuttle driver exemplified the finest service to us during our stay. We seek to give excellent service to our valuable guests and to hear that we have served you well is more than enough to inspire us to work harder than hard to give our valued guests the best accommodation they deserve at all times. Thank you for sharing to us your wonderful experience and it brings us great joy that you appreciated our spacious room, the in room facilities and amenities as well as the overall cleanliness. Thank you for helping us to further improve by giving us your insightful feedback. We hope to serve you again very soon. "Baseball night with my better half." Decent for the price and location very convenient to Rangers Ballpark ,restaurants very close and the park and fly is very inexpensive compared to regular parking garages. Hopefully we will be back for a football game. "OK for an emergency stay, but sort of creepy and roaches"
I was stranded at the airport for the night, and had to find a hotel. The Best Western Customer Service Agent on the phone quoted me a different (cheaper) price than when I went to check in. This is against ethical business practice. I went ahead and paid the extra amount. The room was on the far backside of the hotel, where the tractor trailer trucks park - as a single female, it was really scary to get to my room, and I did not want to leave to get dinner, because I was creeped out. I'm a very experienced, senior traveller, who has international travel experiences, but I felt very uncomfortable. The bed was good tho, the plumbing worked, but when I opened the in-room refrigerator, roaches scattered. The hotel needs pest control. If you are a solo traveller, you may want to chose another place. Thank you for sharing this experience. It is through feedback like yours that we are able to quickly address pest control issues that would allow such a situation to occur. We greatly appreciate the time you've taken to rate our hotel and we look forward to your next visit. "Not very impressive, but just ok"
This was not a planned stay. This was what we got from American Airlines after our flight got cancelled because of bad weather. It was after midnight and really we just wanted a place to sleep so we could get on a flight the next day. Not super impressed with this place. The room reeked of something strongly resembling cigarette smoke, the previous guest left old food in the mini fridge (gross). Furniture was clearly old and dingy, very worn around the edges. Carpet did not seem to have been vacuumed adequately. And there was a broken shelf in the bathroom. Though staff was nice and the free breakfast was good. The room could definitely use some TLC. Great hotel with excellent staff member. We stayed this hotel and we had a great time. Wonderful shuttle drivers, very professional too. Breakfast had plenty of choice. Loved having different 4 different flavors waffles. Never seen that any hotel I stayed at. Will be back. The beds on double occupancy rooms on this property are smaller than I expected. I only recommend one guest per bed as they are smaller size. I fell off the bed during my stay because it could not accomodate my son and I.
Greetings and thank you for sharing your experience with us. I regret to read our beds were less than satisfactory for you and I would like to offer an apology for any inconveniences this may have caused! Safe travels and your business and loyalty to Best Western is sincerely appreciated! I called and asked about parking my car and being shuttled to and from airport. I left my car on a Thursday and return on the following and spent the night. I felt my car was safe while I was traveling. Other than the lighting and humid bathroom. The hotel is at a good location, Located next to a gas station (very convenient), and had a nice outdoor pool. End of message. end ofend. End end. message. end. End end. end. End end. end. End end. end. End end. End end. message. end. End end. end. End end. end. End end. end. End end. End end. message. end. End end. end. End end. end. End end. end. End end. "Quick stay on a layover"
We were able to book right away when we had a cancelled flight. The rooms were very nice and we got a good nights sleep. We had a good breakfast provided by the Hotel and got a quick shuttle back to Airport so we could meet our rescheduled flight. I would call them again. Not a bad place. Clean ,affordable and a decent base to start from. Breakfast was nothing special but neither was it poor. Pool area was clean and the smoking area is a good place just to sit and chill even if you're not using it for its original purpose. Lots of places to eat within minutes walk and a Walmart right next door. There's even a multiplex cinema close by. There are 2 enterprise offices with 5 minutes walk if you need a car and want to avoid the airport extras. Also the TRE station isn't too far for excursions to Dallas or Fort Worth. (Free parking) Right on flight path to DFW but no discernable noise. If you are flying into or out of DFW, this a great hotel to stay at. 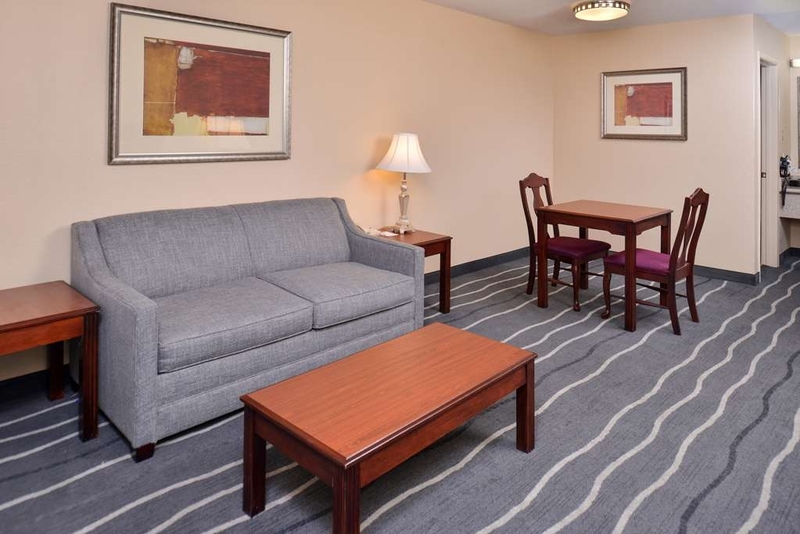 It's conveniently located in a area with lots of restaurants, shopping and gas stations before you return that rental. The rooms are quiet and very large. The staff is awesome and willing to work with your schedule. First time in Texas, first hotel stay. Had an issue with our room, we were unable to access, think room was double booked. Went to front desk and we were provided a different room. Great pool and hot tub, rooms were clean and comfortable. Limited breakfast options but still good. Location was perfect, close to shopping, restaurants, etc. Nice clean rooms very quite, fast Wi-Fi and hot breakfast. Restaurants within walking distance including Walmart next door and movie theater. Shuttle available to and from airport, friendly and courteous staff. "Friendly staff, very clean rooms"
Needed a hotel near airport while house hunting in the Dallas area. 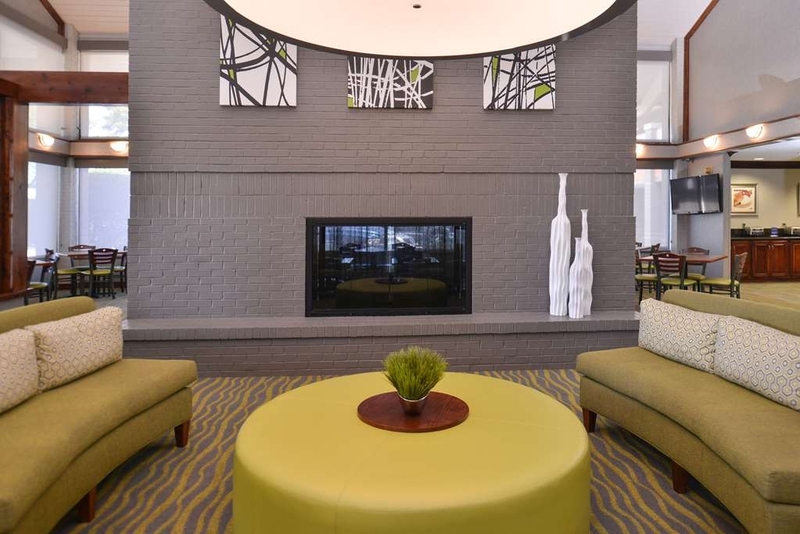 Stay at this Best Western hotel and was impressed with the hotel overall. Very clean, friendly and helpful staff, and the price was relatively cheap. Because the price was so low, I thought I was going to a dump, but I was wrong. Free Wi-Fi and breakfast. Next to two restaurants and a 7 eleven. Well located. Was very pleased with the location, the service, the cleanliness and the convenience of this property. There are some challenges with all of the construction and it's an odd combination to have a chinese/japanese restaurant sharing the parking lot, but still it's an excellent value and will definitely stay at this property again on my next business trip to Dallas. Clean, quiet and reliable internet service. Closed to major shopping outlets. I mean You can walk to the mall if you wanted to. Dry cleaning service is next door. Bored of the same breakfast, u can go to Dennys accross the street. Helpful Staff. Hello and thank you for your feedback about your stay at the Best Western Irving Inn & Suites. We value all guest feedback and I am glad to see that you felt our staff service levels and cleanliness exceeded your expectations. Your breakfast experience is a concern and I will be sure to review your comments with owners.. I genuinely hope that we have the opportunity to serve you again if your travels bring you back to the Irving/Las Colinas area! I stayed in this hotel for one night while in Irving. I had no problems with the hotel itself. The staff was friendly and helpful. The room I stayed in was spacious and I noticed nothing out of the ordinary. The problem I had was with other guests who were staying there on the second floor. They were hooping it up, slamming doors and generally making a loud racket until after 1:30am. Apparently, they had no idea that other guests were staying there. I was ready to call the front desk to ask that they quiet those rowdy guests down but they eventually stopped on their own. Aside from that, my stay there was pleasant. Thank you so much for your wonderful score and comments! I'm very happy to see you and you enjoyed your stay with us. I do apologize about the noise from other guest causing you an inconvenience. We addressed the problem with those guest. I'll definitely be sharing your comments today with the staff. We look forward to seeing you again next time! The hotel is ok for a 1 night stay, very close to the airport. I did find it hard to get them to answer the phone when I tried calling before I arrived and also after checking in to ask for something. The shuttle is not so trustful, they said it ran until midnight, I called at 11.40pm and they said they would not pick me up. A little disappointed on that. The room I got was big and clean but it did have like a funny smell, probably for poor ventilation. I had to sleep with the fan on all night to get some of the smell out and open the door early in the morning. Staff was kind, there was this special guy during the morning who was really awesome, appologized for the shuttle and helped me print my boarding pass. Breakfast is great, bread, eggs, cereal, waffles...loved it. Except for the shuttle and the ventilation, I would stay there again. Thank you for your feedback! Again I do apologize for your experience at arrival. I'm very happy to see that our staff did a great job getting you taken care of the following day. I will be sure to let them know about your comments today. We hope to see you back again next time! "Very good and comfy rooms. Ive stayed here 4 times before and every time was good. Ill stay here more in the future." Very good and comfy rooms. Ive stayed here 4 times before and every time was good. Ill stay here more in the future. Pool and hot tub located in center with rooms all around it. Once was a little mousey when residents were up late. My husband and i needed a place to stay for one night in route to the Caribbean-this just gets you by with the stiff spring mattress, dirty floors and stuffy room. We arrived just after midnight and left prior to 6am so no shuttle from the airport was provided. We did stay on our way back and the shuttle was operating and breakfast was provided, which increased the value to us. Thank you for sharing your thoughts with us through this review. We greatly value all your inputs as it serves as a motivation for us to strive harder to excel. Please know that we will be assessing and evaluating the condition of our facilities especially the mattressws so that we may correct the deficiencies without delay. We are grateful for the positive points you mentioned regarding the breakfast and the shuttle services. Rest assured that we will work harder than hard to meet your utmost satisfaction. Thank you for the opportunity to grow, and we hope to be of service to you again next time. From check in to check out, top notch service. Very much exceeded my expectations for the price. Super clean and comfortable room. Excellent security and a very decent restaurant right outside in the same parking lot. A convenience store right next door. I didn't have to leave to find the small items that we usually end up remembering after check in. It was a very pleasant 5 day stay. We seek to give excellent service to our valuable guests and to hear that we have served you well is more than enough to inspire us to work harder than hard to give our valued guests the best accommodation they deserve at all times. Thank you for sharing to us your wonderful experience and it brings us great joy that you appreciated our spacious room, the in room facilities and amenities as well as the overall cleanliness. We hope to serve you again very soon. Need much updating. The carpet was in bad shape, the towels and wash cloths, needed replaced without holes and to look and smell fresh. more deep cleaning needs to be done between guest. The check in looked like a clean motel....but down hill from there. Wish I would have saved my free night points for a better other location. "Sour service and uncomfortable beds"
The breakfast was pretty good, and the pool area was fairly nice. The vending machines are in sad need of an update. Besides the morning girl, the front desk personnel were sour and unlikeable. HARD BED. Check in was easy and polite. First room we got smelt like smoke & it was nonsmoking. A/C broke down so they gave us another room (thankful for that). It smelt like smoke too. Rooms were dated, carpet dirty and not the cleanest overall. Beds were ok for comfort. Could use some deep cleaning! I wouldn't stay there again. Please accept our sincerest apologies for the housekeeping issues that you encountered during your stay in our hotel. Rest assured that our housekeeping staff is held to a very high standard and that your comments are being addressed. The airport service is the best. We were let off and picked up in a very timely manner. Beats paying for parking at the airport. Plus we were upgraded to a better room. It was a great stay we will definitely stay here again on our next trip. Stayed here to catch an early flight out of DFW. You can park your car for free up to 7 days, but sign up for the shuttle at check in. Good breakfast, good coffee; room was big, a little remodeled , but just basic and clean. Mattress was kind of saggy in the middle. Still, it's worth the money. I did not have a hard time driving to this hotel. I did not like the way that the desk clerk acted she was not very Clear about where my room was. she was also very short on the phone call to my room about my shuttle service to the correct airport. she did not even answer my call back to the desk after a few minutes. Greetings and thank you for sharing your experience with us. I regret to read our staff services were less than satisfactory for you and I would like to offer an apology for any inconveniences this may have caused! This is a matter we take seriously and please feel to reach out to me at my personal email to further discuss this situation at [email protected] I'm more than confident our team can make a better impression on you the next time and we hope to have the chance of doing that. Safe travels and your business and loyalty to Best Western is sincerely appreciated! This is a great hotel to use if you are leaving on a place for a week or two. They will take you to airport and pick you up. It is close and very convenient and several good restaurants around to eat lunch or dinner. Staff was pleasant. Property very run down and dirty on the outside. Room looked ok initially but had an absolutely overwhelming sweet chemical smell. As I unpacked I realized there were many areas of wear, the carpet was dingy and the sheet (or coverlet....which was as thin as a sheet and would have been just as easy to laundry) was covered with stains. Towels were so thin and pitiful it was almost sad. I was to stay one night and then return for another night on my way out of town. Needless to say I will be looking for a different hotel. Price is decent but property is not. Thank you for bringing to our attention your experience and comments regarding your stay at our hotel. Our sincerest apologies for the inconvenience caused. We are a hotel that places utmost importance on the voice of our guests, as we are committed to delivering the highest level of cleanliness. We hope that we may be given a chance to change your perception of our hotel and give you the highest level of service in the future. "Nice , clean and cheap"
We travel to Dallas to visited a sick ?? friend . So we book the hotel by Expedia. The hotel is not new but is clean any problems with the beds. The hotel has a perfect location , you will find Walmart, subway , Dennys, Macdonald and many other restaurants. I recommend this hotel .???? Great room's free parking for a week shuttle to and from airport. Checked in had a wonderful person explained about the parking. One of the best room's I have had in a long time for that price. Will stay here again for sure. The staff was INCREDIBLE!! Everyone was friendly and went out of their way to help us. Our favorite was the young man who drove the shuttle, picking us up from the airport early in the morning. He was extremely nice and friendly on the drive to the hotel. We told him we had to go back to the airport later to take the DART train to downtown, and he offered to take us to a closer station. We didn't get ready as quick as we thought, and when we were ready we asked for a shuttle ride. He had just left to go get some lunch but he came right back to take us to the station. Such great service. Check in was great too. We came in on a red eye from Hawaii and were very tired. Got to the hotel around 7:30am, assuming we would check our luggage and go right back to the airport. The desk clerk, super nice and friendly, told us there was a room ready for us! We took our stuff to the room, came back for a nice breakfast, then took a nap (hence the reason we were late getting ready for going back out). Such a nice surprise. The room wasn't as clean as it could be but since the service was so great we didn't seem to mind as much as we would have otherwise. Location near the airport was great, with several restaurants in walking distance. It was the incredible staff and service which led me to give the Very Good rating, otherwise would have just been Average. Decent value for the money. Had no issues with this property, it was clean outside and inside room. Would return and stay at this hotel again. Any questions were addressed immediately, and adequately. All of the staff were very helpful, especially the front desk clerk in the evening. Hello and thank you for your feedback about your stay at the Best Western Irving Inn & Suites. We value all guest feedback and I am glad to see that you felt our staff service levels and cleanliness exceeded your expectations. Your comfort of sleep is a concern. Would you plaese let me know what we could do in the future to bring this up to a higher level. Yo may contact me via email at [email protected] I genuinely hope that we have the opportunity to serve you again if your travels bring you back to the Irving/Las Colinas area! Very spacious suite at very reasonable price. I recommend this place. Only drawback was the hard bed... maybe with a little coaxing, they'll change the beds. P.S. You need to eat at Lin's Garden (Oriental restaurant) right next to Best Western. Delicious!!! Hello and thank you for your feedback about your stay at the Best Western Irving Inn & Suites. We value all guest feedback and I am glad to see that you felt our staff service levels and cleanliness exceeded your expectations. Your bed experience is a concern. I genuinely hope that we have the opportunity to serve you again if your travels bring you back to the Irving/Las Colinas area! I have stayed at this hotel on a number of occasions over the last five years. 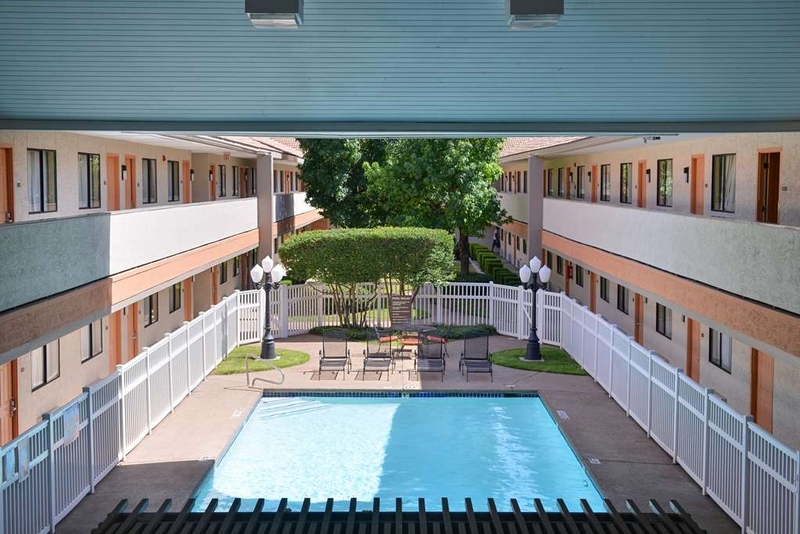 It is close to DFW Airport, clean, tidy and adequately equipped. The rooms are comfortable but the recent renovation does not appear to have changed the venue much. The buffet breakfast is good. The pool area not so much. There has also been a noticeable increase in recent years of less desirable types hanging around (perhaps on route to the petrol station next door). I do think it is a little on the expensive side for what it is. Thank you for bringing to our attention your experience and comments regarding your stay at our hotel. Our sincerest apologies for the inconvenience caused. We are a hotel that places utmost importance on the voice of our guests, as we are committed to delivering the highest level of service. We hope that we may be given a chance to change your perception of our hotel and give you the highest level of service in the future. Clean room, no noise, nice place to stay for a reasonable price and left our car for 5 days. Easy pickup at the airport. Would stay again. Friendly staff easy access and nearby restaurants. Have stayed at other places around and this is the best the price. We seek to give excellent service to our valuable guests and to hear that we have served you well is more than enough to inspire us to work harder than hard to give our valued guests the best accommodation they deserve at all times. Thank you for sharing to us your wonderful experience and it brings us great joy that you appreciated our rooms, the facilities and amenities as well as the overall cleanliness. I have use this hotel several times and I am always pleased with my stay as well as its location. 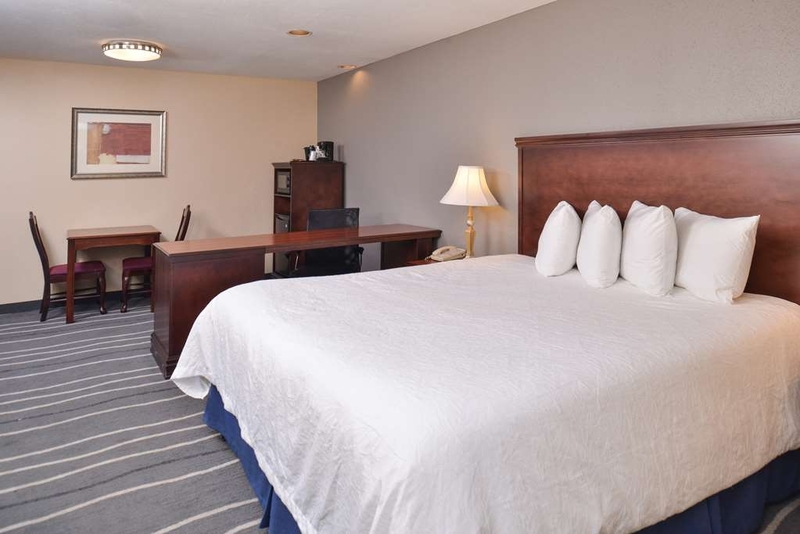 I have found all of there rooms clean and comfortable, with all the items we need for a nice stay, its location is great with in minutes of shopping eating and movies, and jest minutes from Six Flags. Hello and thank you for your review of the Best Western Irving Inn & Suites! I am very happy to see that our property met all of your needs; it's our number one goal to provide clean and friendly lodging accommodations to all of our guests and I am glad we were able to fulfill this for you. The Best Western DFW is a very nice place. The breakfast was excellent - waffles, sausage, eggs, bagels, and a wide variety of cereal and juices. 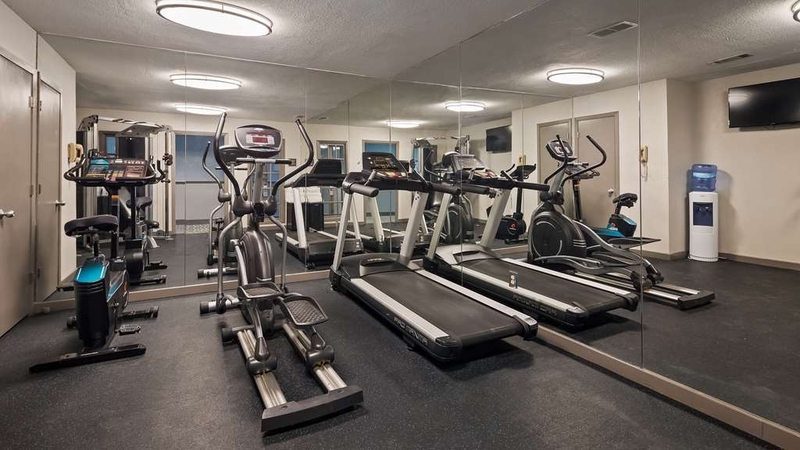 The fitness center has many cardio machines and a nice weight machine. The pool is also nice. 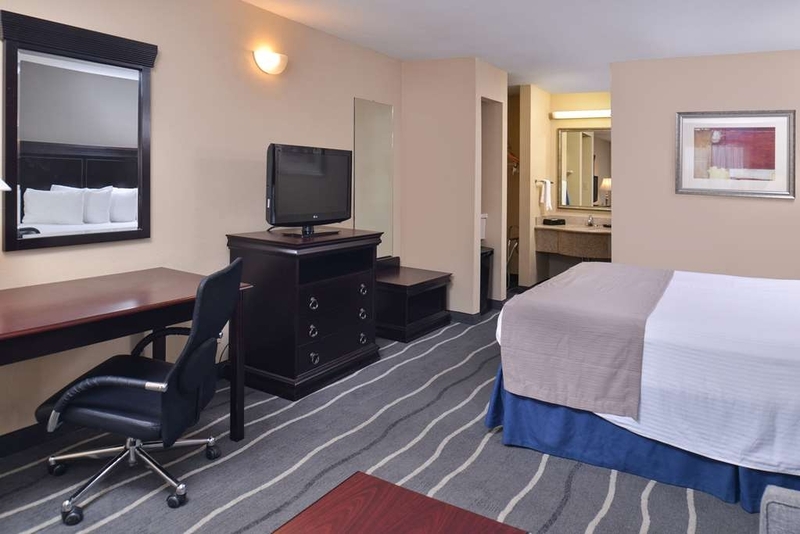 "Best Western is the hidden gem of budget hotels"
Clean rooms, good AC, free WiFi, hot (free) breakfast, free airport shuttle - what else can you need or want? This place also has a pool! It's also close (walking distance) to several restaurants. I've stayed at several Best Westerns in my travels and apart from indifferent desk clerks, have always had good clean rooms. 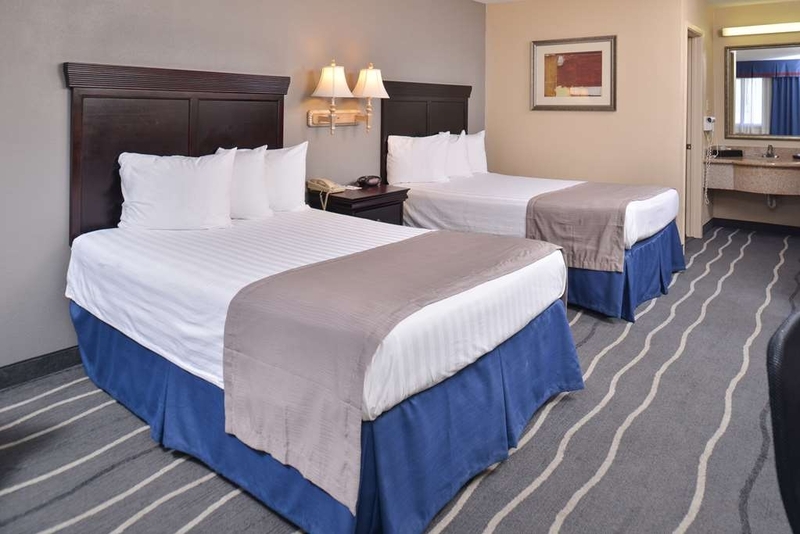 Hello and thank you for your review of the Best Western Irving Inn & Suites! I am very happy to see that our property met all of your needs; it's our number one goal to provide clean and friendly lodging accommodations to all of our guests and I am glad we were able to fulfill this for you. I will share your comments with the team, and we all look forward to welcoming you back and serving you in the future if your travels bring you back to the DFW area! Please accept our sincerest apologies for the staff courtesy issues that you encountered during your stay in our hotel. Rest assured that our staff is held to a very high standard and that your comments are being addressed. 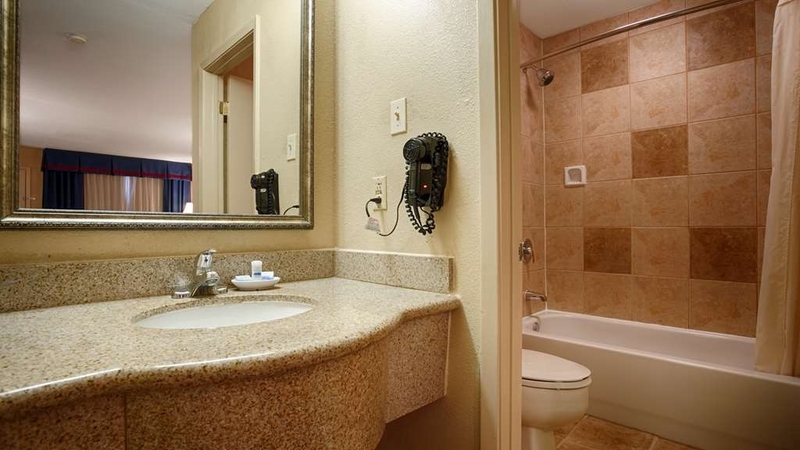 "BEST WESTERN Irving Inn & Suites at DFW Airport, Irving, TEXAS"
Simply perfect ! Not far away from the airport, easy to access, and close to a Walmart for some "essential shopping" such as drinks, food etc... Rooms are very clean, bed very comfortable, and despite the proximity of the airport (10-15 minutes range), we had no problem to sleep. Staff is really cool, friendly, and gives very good indications as for what to visit, which is not necessarily on tourists' map. We really enjoyed our stay, and will come back for sure ! Greetings and wow, thank you for such a nice review! I'm highly thrilled to know you had such a great experience here and you felt at home away from home. I'll be sure to pass along your kind comments to my staff members and we look forward to welcoming you back! I feel bad for this bad review I am about to publish because my friends thought their stay was fine, We checked in late. The clerk was not happy, maybe tired but she was polite and we were quickly on to our room. The room appeared clean and smelt fresh. We were exhausted from a day at The State Fair and went straight to bed. Oh my, I felt like I was on a piece of ply wood. The piping on the mattress was hard like metal every time I got in and out of bed. The blanket was very thin. Yes I could have turned the air temperature up but we like the room cool and then lay under warm blankets. Many hotel have extra bedding in the closet-no. I played on the sofa covered with the towels and did fall asleep. The shower head has a lever which I moved to adjust the spray but it only rotated the head. The soap smelt like stale vegetable oil. The final straw was the roach on the wall. They were kind to not charge us the next night when we checked out at 0900. Please accept our sincerest apologies for the staff courtesy issues that you encountered during your stay in our hotel. Rest assured that our staff is held to a very high standard and that your comments are being addressed. "Great service and location for travelers"
The shuttle was a life saver & the airport location worked out great. We came in from a 2 week trip to Europe and found the room to be extra clean, updated and new sink & plumbing. Even though the building is older, the maintenance is very good. The bed is horrible, TV is bad, most of all the room smell so bad that I have to wash all my clothes Somewhere else. The AC was not cooling enough thus it leaves a moldy smell. The breakfast is bad as well. The coffee at the lobby was so weak and it's not much of a breakfast. Our initial "smoke-free room" wreaked of cigarettes. The hotel manager was nice enough to move our room, however it was equally disturbing. Since none of their rooms are inside, you're lugging everything you have outside, down these unlit alley ways covered in garbage. It was disgusting and certainly didn't make you feel safe. Additionally, our TV didn't work and every 5 minutes we had the luxury of EVERY plane screaming over our hotel room. This place is certainly not worth the price and should be a last resort. "The Clerk on Duty Made this stay pleasant!" We had to spend the night in DFW as part of our journey to the Bahamas. We literally spent about 6 hours at this Best Western. Deia, the manager on duty was very sweet and went above and beyond to help us with transportation for our flight the next morning. Kudos to her! 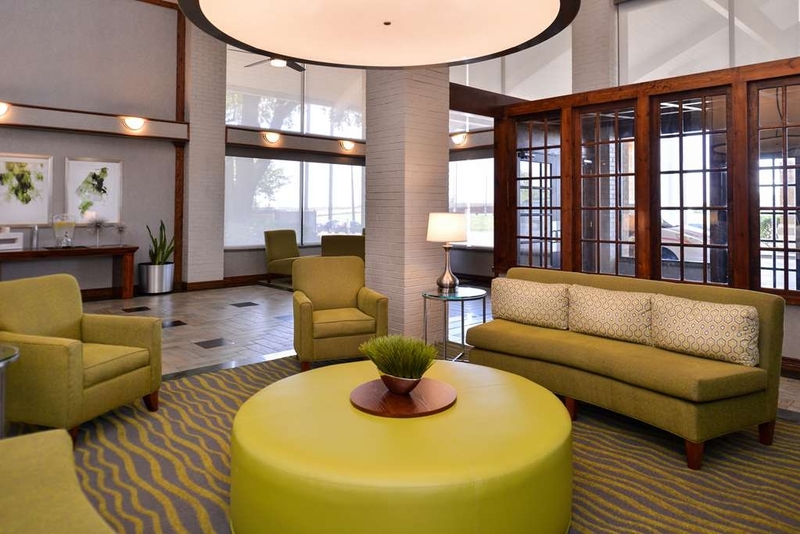 "Clean, comfortable, convenient to DFW & Love"
Our stay was very comfortable. Check-in and check-out were easy. Room was clean; microwave and fridge made it possible to bring home leftovers; beds were comfy and the hotel is very convenient to both airports. Try Aspen Creek Restaurant which is nearby. Food and service were great. This was a very nice hotel room. The entire staff was very friendly and hepful. We stayed one night and left our vehicle while we traveled. The excellent rate included our room, vehicle parking, ride to and from airport. I will stay again and will recommend to anyone traveling through the DFW airport. "One night stay turned into two"
After traveling from Australia for 32 hrs we arrived at the hotel at 11.45 in the evening and man were we tired. Rang the hotel after clearing customs and collecting our luggage to request shuttle pick up was asked which terminal and gate we were at and was directed to where the hotel shuttles pick up from waited less than 15 minutes and our driver Fred picked us up nice air conditioning in the van,loaded our bags and in no time at all was at the hotel Check in was smooth and even though there was 3 people in front of us went quick and Raj was very friendly and welcoming Room was clean,beds were comfortable very nice hot breakfast in the morning which is always nice rather than just some cereal and pastries that some hotels call breakfast. The pool was clean and spa at end of pool worked well too and hotel grounds were well kept Our original plan was to stay here for just one night then start our road trip next day but with our flight being delayed some 9 hrs and getting to hotel at 11.45 at night instead of 2.30 in the afternoon but had no hesitation in booking another night to well and truly rest up. I'm so happy with this hotel that we have already decided that this is where we will stay on our last night when unfortunately our trip will have to end. Fantastic hotel, not far from DFW, good breakfast, clean room and very quiet. Also close to a small shopping strip that has a great Italian, Vitos. Stayed here a couple of times now, and will definitely again. We seek to give excellent service to our valuable guests and to hear that we have served you well is more than enough to inspire us to work harder than hard to give our valued guests the best accommodation they deserve at all times. Thank you for sharing to us your wonderful experience and it brings us great joy that you appreciated our spacious room, the in room facilities and amenities as well as the overall cleanliness. Good location to DFW. Shuttle service and all staff extremely helpful and courteous. Undergoing an upgrade while we stayed but all went smooth. Rooms exceptionally large for the price and the $$ value extraordinary. The lobby personnel were very friendly. 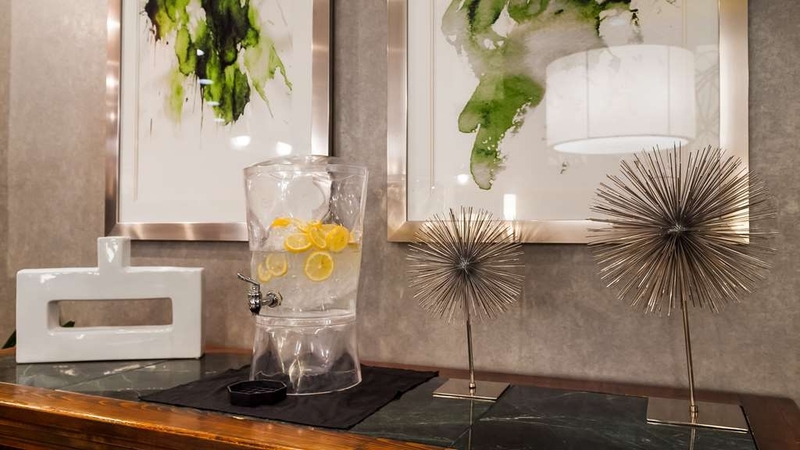 Enjoyed the ice cold water(located in lobby), with the taste of lemon. The breakfast was great. The breakfast was great along with the service provided. The room and grounds were very well kept. 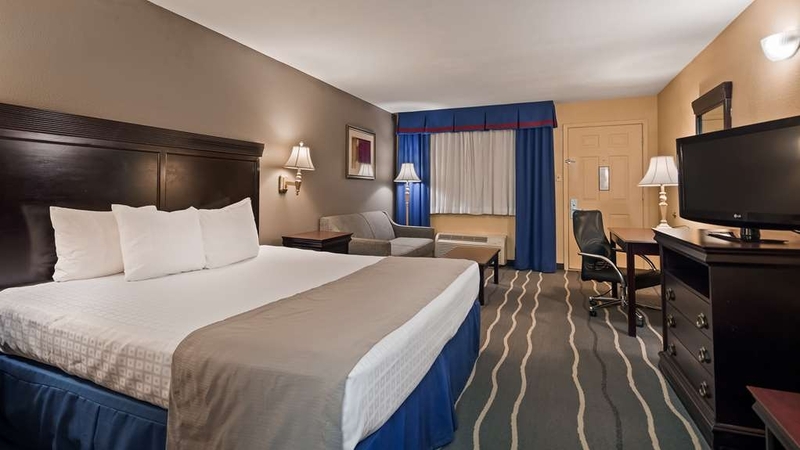 "A great stay at the Best Western Irving Inn & Suites at DFW Airport, Irving, Texas, USA"
A great stay at the Best Western Irving Inn & Suites at DFW Airport, Irving, Texas, USA. Only a few minutes from the DFW Airport. Had a great sleep in the very comfortable bed. Very nice and helpful staff at the front desk during check in made my stay more enjoyable, and I would highly recommend this location. "Flight cancelled, ended up here for night"
I found this hotel room just adequate, I am sure my sheets were not clean, they didn't smell fresh and as American Airlines had our luggage it was not nice without pjs or nighties. The breakfast was again average, very average. Would not stay there again. Thank you for sharing this experience. It is through feedback like yours that we are able to quickly address issues that would allow such a situations to occur. I assure you we change the sheets out daily in the rooms. We greatly appreciate the time you've taken to rate our hotel and we look forward to your next visit. "No working air conditioning in July"
This hotel would have been fine for a one night stay, although the air conditioning did not work and for July in Texas, it was extremely hot. I tried to call the front desk and couldn't get anyone to answer. My husband finally got the air to work on a low setting, but it just barely cooled the room off. I will not be returning to a Best Western again. Thank you for sharing your experience with us. I do apologize for any inconveniences that you experienced due to the a/c not working in your room. I hope you will give us another chance to see if we can provide you a more enjoyable stay. Where to start about this place. My refrigerator didn't work and I reported it and even though I was there for three nights it was never fixed. The bathtub drained extremely slow. Nothing like wading in your own funk while you're trying to get clean. The television was very grainy and the volume didn't go up very high. The a/c wasn't big enough to accommodate the size of the suite so the bedroom portion would never cool off.There was a plethora of less than desirable types lurking around the pool constantly that I'm sure weren't staying there. They would also congregate in the breezeways outside of my room at 3 a.m. My truck was run into by one of those wonderful persons overnight. No note or anything just a thousand dollars worth of damage for me to handle with my insurance company. What's funny is that the place really looks nice but I guess they're at the mercy of the area they're located in, but it's nothing a strong manager and some security couldn't fix. I'm a Diamond Elite member with Best Western and stay with them all the time and this place made my bottom two on the list. Best Western should sell it to America's Best Value Inn and save some face. Greetings and thank you for sharing your experience with us. I regret to read you had people outside your room at a late hour. I would like to offer an apology for any inconveniences this may have caused! This is a matter we take seriously and please feel to reach out to me at my personal email to further discuss this situation at [email protected] I'm more than confident our team can make a better impression on you the next time and we hope to have the chance of doing that. Safe travels and your business and loyalty to Best Western is sincerely appreciated! Hello and thank you for your feedback about your stay at the Best Western Irving Inn & Suites. We value all guest feedback and I am glad to see that you felt our staff service levels and cleanliness exceeded your expectations. I am glad you were offered your welcome gift as a loyal BW Rewards Elite Member. I genuinely hope that we have the opportunity to serve you again if your travels bring you back to the Irving/Las Colinas area! 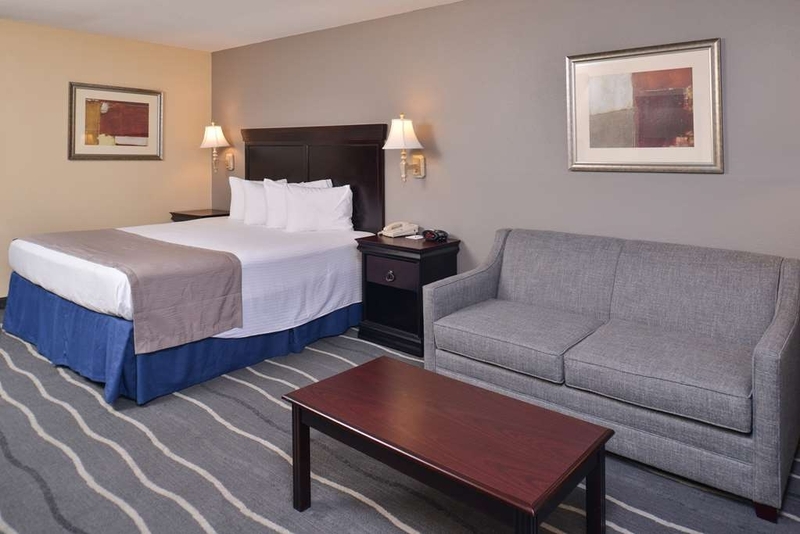 "Excellent Hotel for Park & Ride to DFW Airport"
This hotel is an excellent value for parking your car and riding the hotel van to take a flight at the DFW airport. The room rate is among the lowest I've seen at a Best Western recently. Even though it is an older property, it appears to be very well maintained. It is so rewarding to hear that we were able to provide a clean and comfortable experience. We hope you'll return to enjoy the continuous improvements made in our accommodations and services. The suite was very nice. It was very clean and had a very comfy bed. Lots of room and had large work table. Everyone at BW was very nice and they helped me decide on the best restaurant choices for dinner. This is a follow up review on this hotel. Staff still very courteous and the shuttle drivers have to be one of the best teams serving the DFW airport. We stay quite a bit at this B/W due to the parking deal and their fast shuttle service. I also book my wife and grandkids there when they travel, as I always know they will be well taken care of and safe. "Good hotel but has problems"
Overall experience my family and I had at this facility was outstanding. The room décor couple with the confront of the bed made this stay a restful event. The breakfast items were great and the coffee was simply outstanding. If your travel plans includes this area then this facility is a must. In addition, if your travel include air services from the DFW airport then this facility is a dream come true. Management provides long term parking for your convenience plus travel service to and from the DFW airport. I recommend this facility as the place to meet your and your family overnight travel needs. I have stayed here twice in order to avoid the long drive and traffic to get to an early morning orientation/meeting. The staff was friendly and helpful. The rooms are nice and it is great to have a mini fridge and microwave available. A Wal-Mart is next door if you need to do some shopping. I had a great experience. I went to Irving to a convention and stayed at this facility June 10-11, 2016.When I called for the reservation the lady at the desk was very helpful and very patient answering my questions. When I checked in, the same lady was there and she even remembered me from when I had called. She went out of her way to make sure that we were comfortable and even called the room after we had been in there for a few minutes to make sure that all was well. The room was clean. The area is not unsafe at all, contrary to a review that I had seen posted earlier. It is not the Hilton but you don't pay Hilton prices either. 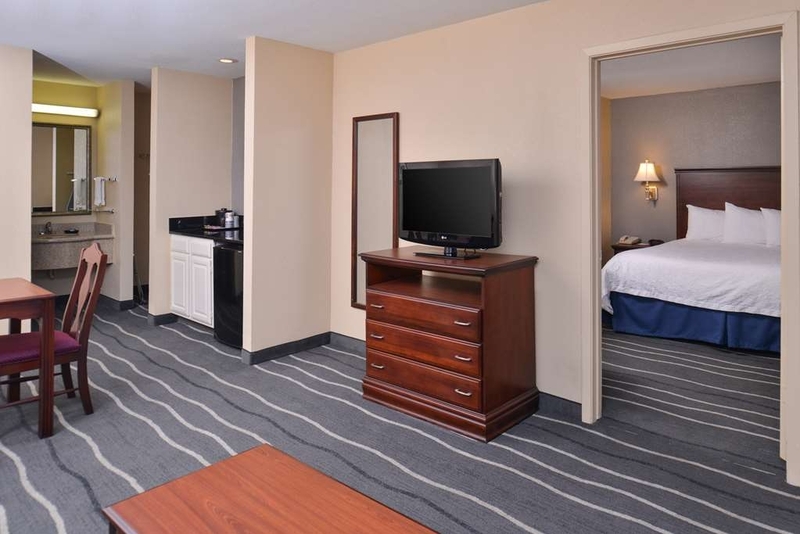 "A weekend at the Irving Best Western"
This hotel is close to everything which helps when you are on a business trip. They say it is the DFW Airport, and yet I never heard any airliners; and it it is next to the freeway, yet it was quiet, and peaceful. I thought the value I received was excellent. I will be back! Other than the cigarette smell from a previous tenant; the stay here was great. The room was very clean. The bed could have used a softer mattress. That did make for a not good sleep. The breakfast was great. The evening staff was very helpful. Thank you for bringing to our attention your experience and comments regarding your stay at our hotel. Our sincerest apologies for the inconvenience caused. We are a hotel that places utmost importance on the voice of our guests, as we are committed to delivering the highest level of service. You have our word that we will be reexamining our shuttle schedule and the areas to which it takes our guests. We hope that we may be given a chance to change your perception of our hotel and give you the highest level of service in the future. "Dis-satisfied with Cab Fare to airport"
Thank you for bringing to our attention your experience and comments regarding your stay at our hotel. Our sincerest apologies for the inconvenience caused. We are a hotel that places utmost importance on the voice of our guests, as we are committed to delivering the highest level of service. You have our word that we will be reexamining the cab companies we use to prevent further issues. We hope that we may be given a chance to change your perception of our hotel and give you the highest level of service in the future. "Great Place to Stay - Super Staff & facility"
It was clean, the staff were great, the rooms were comfortable as well as the beds. Enjoyed the pool. The entire staff at this hotel are to be commended for thier fantastic customer service and thier willingness to please the customer. I use this Best Western when flying out of DFW. The staff is always great. If you are leaving on early am flight, they give you a "to go" breakfast. Always have coffee ready in the lobby. Bed is comfy so I get a relaxed night. The shuttle driver always knows which gate to drop me off and I return & shuttle brings me back to hotel. Easy, convenient, safe. I will continue to use this Best Western. Ronny the main manager was so helpful at check in. Room was spacious and good quality for the price. Its located right behind a gas station and a small walk to Walmart if anything was needed! Lots of restaurants are walking distance away as well! This was my first time staying at a Best Western, and would definitely consider staying again. I really enjoyed my stay here and would have enjoyed it more if the bed was a little softer. We were upgraded to a suite and it was inexpensive. It was great and we had a living room and a dining area and a king bed with an okay size bathroom. I had to participate in a residency program for my degree at the Hyatt Regency at the airport and I had a ride every morning and got picked up every evening. They were great. Their breakfast could be improved and they should have a comfier bed. We stayed there from 11 nights and that bed did a number on my back. But the amount of space we had made up for it. "A good place to stay the night before a flight"
The hotel shuttle starts at 5:00AM so eliminate the hassle of checking the car in and waiting, sometimes with seemingly a 100 people, for the rental car bus to show up. Drop it off the night before. The hotel will pick you up at the rental car center. The rooms are clean, though dated but the price and convenience makes it all worth while. I absolutely love this hotel. The staff was very friendly and the breakfast was on point. Easy to find with a great location close to a mall with tons of restaurants. Our room was centrally located next to the pool and Jacuzzi. I felt at home during my visit to Irving and would stay again. "Great hotel in central location "
"Terrific value. Not 5 star, but maybe 4." Great value. 3.5 star. maybe a little more. Good location. Clean. Quiet, good TV channel selection. Hide a bed couch was uncomfortable to sit on. Bed was fine. The furniture and carpet was dated. WIFI was adequate. The staff was very accommodating and exceptional to work with. The place is a bit dingy for the rooms and the pool area but for the price I think it work. Also the customer service makes up for it. We also enjoyed the donut place in the strip mall near the hotel. They will fill the donuts on demand with custard or jelly. And boy do they fill them!! Yummy!! This place was ok for the price and location to the airport. The room we stayed in was a suite which was nice, but it smelled of cigarette smoke even though it was a non-smoking room. The sheets had a slight smell of cigarette smoke so maybe they allow smoking by employees in the laundry facilities? Either way, it smelled. The room was clean, though. And the water pressure and temperature in shower were both great. Overall, the bed was fairly comfortable for such a budget hotel. We would probably choose one of the other DFW airport hotels to stay in, but we wouldn't be upset if this was our only option. We are best western members. This hotel needs to be renovated, it seems very old. The sheets didn't fit the bed so we ended up sleeping on the mattress (gross!) Beds weren't comfortable. Stains on chairs, bathroom dark, dingy. Not really good entry/exit points. pool area was lacking (metal chairs, dirty pool) Just an old hotel which has probably seen better days. not in a great area, not sure what was going on with the restaurant next door? next to walmart which was convenient. The breakfast was excellent and the staff was sweet. Now mind you, we did not complain to the staff (to give them the opportunity to fix anything if possible) we are low maintenance and it served its purpose, but probably wouldn't stay there again. Thank you for sharing this experience. It is through feedback like yours that we are able to quickly address issues that would allow such a situations to occur. We are in the process of doing work in the rooms and around the hotel, and I hope you would come back and see my team and give us another shot at wowing you. We greatly appreciate the time you've taken to rate our hotel. I stayed here for a conference in near by Los Calinas. Very close to highway, Irving Mall and Target. Check in was warm and friendly. I was budget conscious and this hotel fit the bill. Room was spacious, clean and I had a huge closet for clothes. Room was cleaned nicely each day. A/C / heating system worked great. They also have a nice continental breakfast each morning. WIFI worked great. I was lucky that I didn't have people in rooms next to me so I didn't hear much noise. The first night (Sat) a bunch of rowdy guests check in late so I could hear them outside but I've stayed in high end hotels where you experience the same loud, drunk guests. Would stay here again. "An average motel near DFW"
Slept over for early morning flight. This is an average motel not comparable to other hotels in this area. I have BW Diamond elite status so it may be a reason why I chose this motel instead of Club Carlson hotels (I have gold elite status) I usually preferred. But I didn't receive any welcome gifts or room upgrade. And, I don't think this motel was full that night as the front desk alleged. The motel itself was Ok for a stop over, though. The room was roomy and well arranged. Thank you for sharing this experience. It is through feedback like yours that we are able to quickly address guest service issues that would allow such a situation to occur. We greatly appreciate the time you've taken to rate our hotel and we look forward to your next visit. For an aging motel, it is well kept and clean. Doors access the parking lot directly so you are outside immediately. Not really desirable in bad weather. Easy access to/from the highway and a shuttle bus to DFW. Price, staff, cleanliness and location will make me return. "A safehaven during a whirlwind trip"
Multiple flights in quick succession with a multi-hour drive away from and back to DFW. The staff and management of this Best Western hotel went above and beyond to make my experience at this location Superior. We were stuck in Dallas for the night due to a flight delay. All we needed was a place to sleep for a couple hours and a shower. This hotel was inexpensive and served its purpose. It is a bit dated, but the price reflects that. The shuttle service to the airport was appreciated. Staff was helpful. Wow. Not sure where to start here, but we were just not impressed. Luckily we got a corporate discount rate, otherwise I would have felt fully ripped off, instead of just partially. We reserved a King Suite, thinking it would be nice to have extra room and a fridge for our water and soda. Now, it was a big room, with a front room area with a small couch and chair and tv, plus a kitchen area with sink, microwave, and fridge and a small table. Plus the bedroom with a tv, and the bathroom. When we got there, for some reason, their system wouldn't take our debit card; ok, fine, probably an issue with our bank, but still irritating. Luckily we had cash, so we used that. We got a room on the first floor, and I was a little disappointed that all the rooms open up outside. When we walked in, it was dark. Like freaking cave dark. Even after turning on every single light, it was so dark, I couldn't even take a selfie. #firstworldproblems The room was....okay. Not really not as nice as I hoped. It seemed very Motel 6-ish at double the price. The first night, neither tv worked; both had terrible, snowy reception that really sucked, as my hubby likes to relax by watching tv before bed. Sorry dear! The fridge wasn't cold, so all of the soda and water we brought actually stayed colder when we moved it to the car. The tub didn't drain, so in the middle of your shower, you were standing in ankle deep water. The wi-fi was slow, although it is free; I was trying to do some work as well, and was having a hard time getting on the internet and then having a fast connection (I have a brand new laptop, so that's not the issue). The breakfast the first day was ok. There was the usual fare of cereal, bread, waffles, juice, coffee, and scrambled eggs and sausage. The second day there wasn't any eggs or sausage. There was plenty the first morning, and tons of room to sit and move around in, so that was a small plus. Now, it wasn't all terrible; there was plenty of hot water, and the bed was pretty comfortable, even though it was squeaky. The room is so big, that to get the bedroom are cooled down or heated up from the front unit (they have the the old units under the windows) it makes the front room really hot or really cold. They need a ceiling fan over the bedroom or something. It looks like they are doing some renovations in the lobby, and that's great, but they really need to do some work in the rooms. Or maybe it was just our room. Now, my socks didn't turn black like the other reviewer's, so that was good. I didn't have any of the smoke smell that others complained though, so that was a plus as I can't stand the smell of smoke. All in all, I would stay here again if I HAD to, but really, it wasn't much better than a Motel 6 for a lot more money. Thank you for sharing your thoughts with us through this review. We greatly value all your inputs as it serves as a motivation for us to strive harder to excel. Your breakfast experience is a concern and I will be sure to review your comments with my breakfast attendants to ensure that all items are fully stocked and available moving forward. Rest assured that we will work harder than hard to meet your utmost satisfaction. Thank you for the opportunity to grow, and we hope to be of service to you again next time. 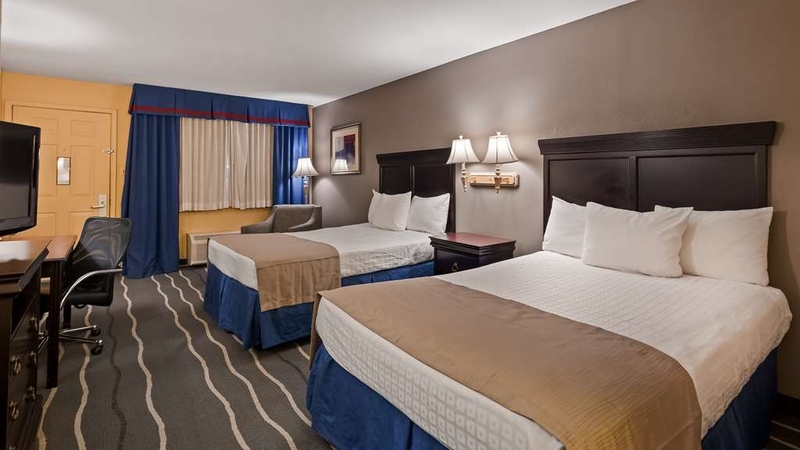 We have stayed at this hotel for three trips and will do so again in the coming 2016 year, hotel is in a great location, Wal-Mart next door mall with in minute as well as a lot of food choices, 20 minutes from Six Flags, and other attractions. Rooms are clean but a bit dated, staff is great, very safe location. Hello and thank you for your review of the Best Western Irving Inn & Suites. It's our number one goal to make every guest feel that they had a productive and pleasurable stay, and I am glad to hear you found our facilities useful. We have some renovations coming up so hopefully that will give freshness to our rooms to your liking. I will share your comments with the team, and we look forward to serving you again in the future! The hotel was not in good condition. The price was good but I was only staying here because of a cancelled flight. The tub wouldn't convert to a shower. The Direct TV signal was out most of the day I was stuck at this hotel. The mattress was an old innerspring mattress that needed to be replaced. The Wifi was good and the breakfast was ok, but the room was old and dingy. The shuttle did run on time. "Perfect and Easy Stay During Layover"
We pre-booked this hotel knowing we had a overnight lay over. It was only a few minutes from the airport which was nice. It was nice to have the continental breakfast before our flight, which was actually really tasty. As well as using the free airport shuttle that was on time and efficient. 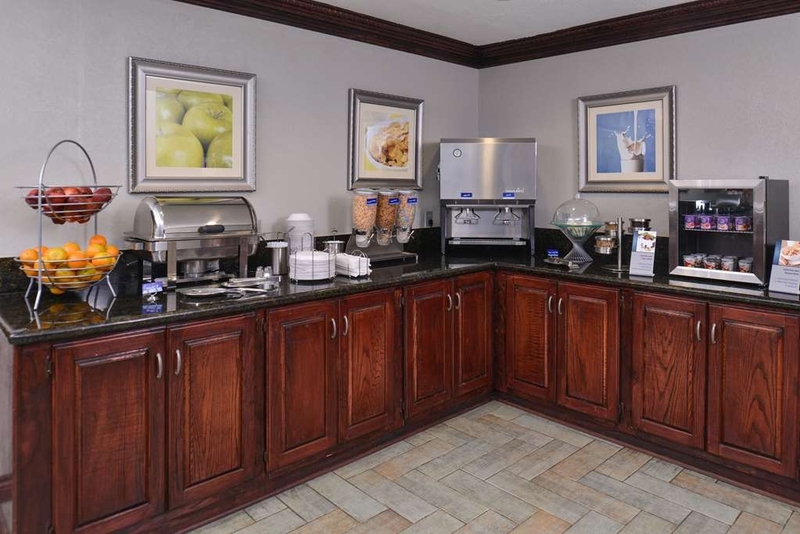 Best Western Irving Inn & Suites is of of my favorite places to stay while on business in Grapevine or the DFW area. It is conveniently located, with easy access from any direction. The staff are always very pleasant, friendly, proficient and helpful. The lobby is very attractive. The rooms are large and well furnished. The bed is always comfortable. Breakfast and breakfast area are excellent. The King Suites are extremely suitable for business related work. The courtyard is beautifully landscaped. 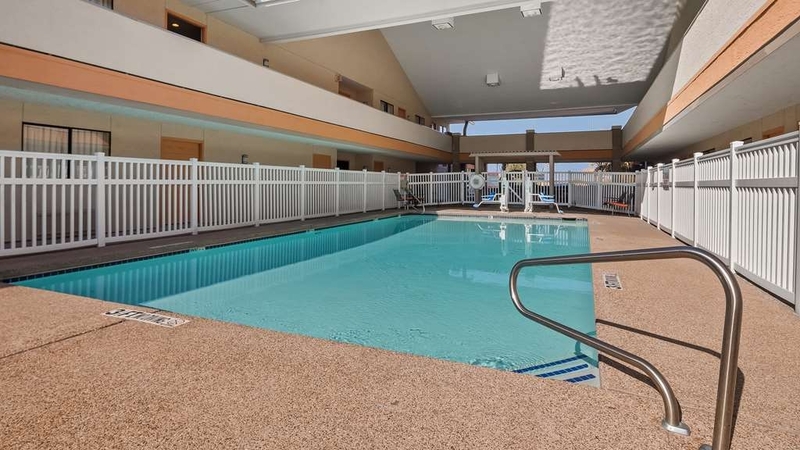 The pool and hot tub are always clean and are in a great location.Excellent restaurants and convenience stores are within easy walking or driving distance. The price is most affordable. When I arrive, it feels like coming home. When I leave, it is like leaving home. 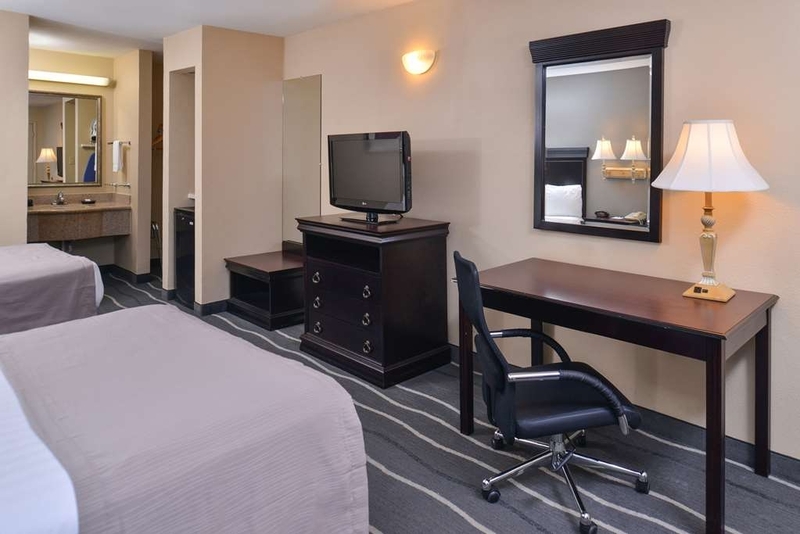 Try coming home to the Best Western Irving Inn &Suites! "Good room. Early ending to breakfast"
We got in after a late flight and missed the 9:00 AM breakfast. The room was clean and fresh. The beds were comfortable. The rest were a minimal number of towels but there were enough. We enjoyed it. If you need a quick place to stay after getting in late from the airport, this is the place unless you sleep in past nine and miss breakfast. "Great Place Close to the Airport"
I found this spot surprisingly nice. The room was much larger than I anticipated. The room had a small kitchenette area with a sink, which was a nice addition, with cabinets and counter space if you were staying longer. It provided a nice breakfast and a free shuttle to the airport, which was very close. I would stay again. "Musty Smelling Room AND Bed Linens"
The smell was terrible and left me hacking and coughing for several days afterwards. Don't ask the front desk to call you a cab, either; since we had to be at the airport at 5, I asked the front desk to call us one...what we got was a gypsy cab who charged us a flat $35 and by then it was too late to call anyone else. However, it was a safe place to leave the car while we were gone. Next time I'll try elsewhere. Thank you for bringing to our attention your experience and comments regarding your stay at our hotel. Our sincerest apologies for the inconvenience caused. We are a hotel that places utmost importance on the voice of our guests, as we are committed to delivering the highest level of service. You have our word that we will be reexamining what taxi services our agents call. We hope that we may be given a chance to change your perception of our hotel and give you the highest level of service in the future. Airport shuttle took 1 hour and 15 minutes. The hotel couldn't find my reservation even with my confirmation number and I had to call the 1-800 number and have them call the hotel. The front desk guy was rude and unhelpful, refused to send the shuttle until he saw the reservation. This is a 2 story hotel, but there ISN'T AN ELEVATOR, crazy and no one offered to help with bags, even the little old couple in front of me with a cart full of luggage. 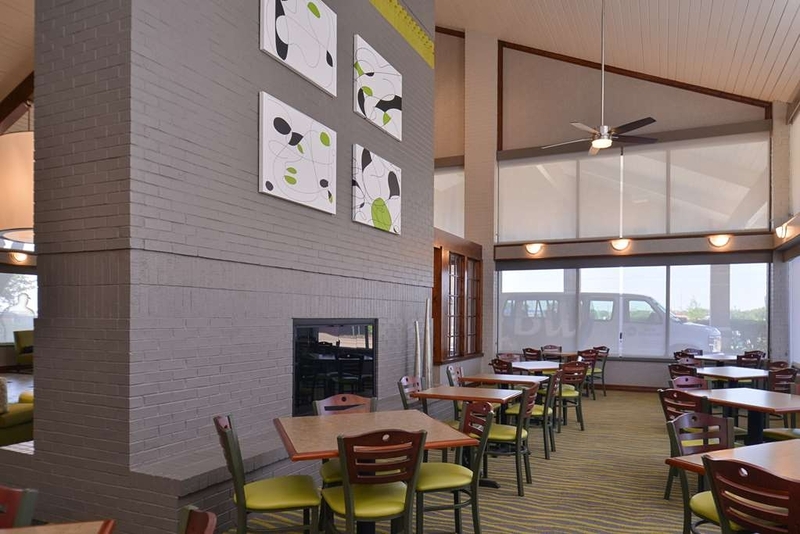 "Decent Hotel, but Plan Ahead for Park and Fly"
Looking for a good value near DFW airport? You'd do worse than to stay at the Best Western. In my experience, the staff were thoughtful and caring, and the rooms were clean and comfortable. I booked this stay to use the hotel's Park and Fly service. The staff does a good job managing this amenity; however, be advised that their shuttle does not begin until 5:00 a.m. I did not realize this when I called to learn about their Park and Fly. As a result, I had to take a cab the two miles to the airport and paid $35 which I found ridiculous. In the final analysis, I would have been better off waking up early, driving to DFW, and parking in the expensive Terminal Parking. Overall, if you plan ahead, I think you'll like the hotel and its Park and Fly service. Thank you for sharing your experience with us. I do apologize for any inconveniences that you experienced due to our shuttle hours. We look forward to your next visit! This hotel was an excellent place to stay if you are flying out of DFW. They allow you to park your car while you are away. The staff was very friendly and the breakfast was very good. The location is perfect for flying out of DFW. The shuttle service is very convenient. "Reasnable Prices Close to Airport"
"Please stay away from this hotel"
Unclean hotel, insensitive staff and bad service.. They did not clean my room even when i asked them.. They did not listen to me even when i told them that i have a one year old..they dont care about the customers.. they just care about the money. I stayed 1 night for next day's flight from DFW airport. The price was very reasonable considering it includes free continental breakfast, free parking, free wifi, and free airport shuttle. Convenience store in walking distance ( like 2 minutes walk) is plus. Room was clean, but needs update... Staff was all nice and helpful. Even the shuttle driver was caring and knowledgable. If you are looking for the great value and good service, I recommend this one. BW Iriving Inn at DFW is convenient via their shuttle to the airport. Their drivers were most accommodating when taking us to the hotel where our conference was being held on the airport grounds. The hotel was clean and the check in staff very helpful. 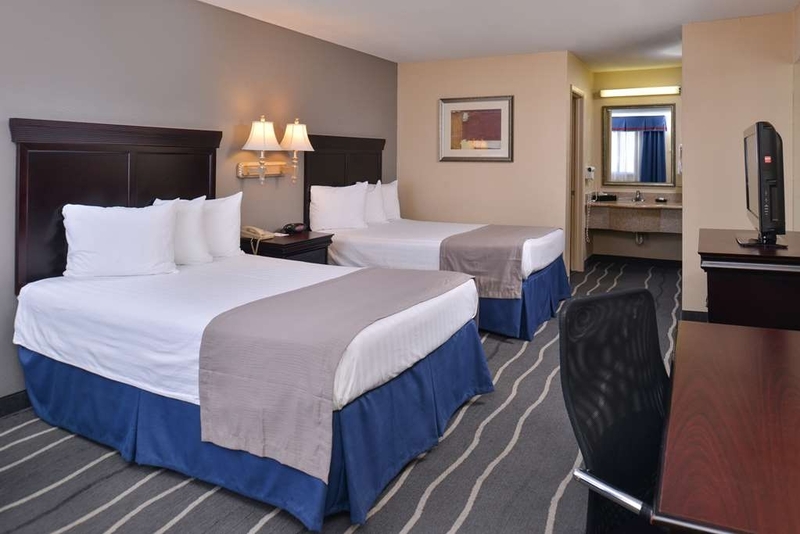 "Best western hotel DFW airport in Irving Texas"